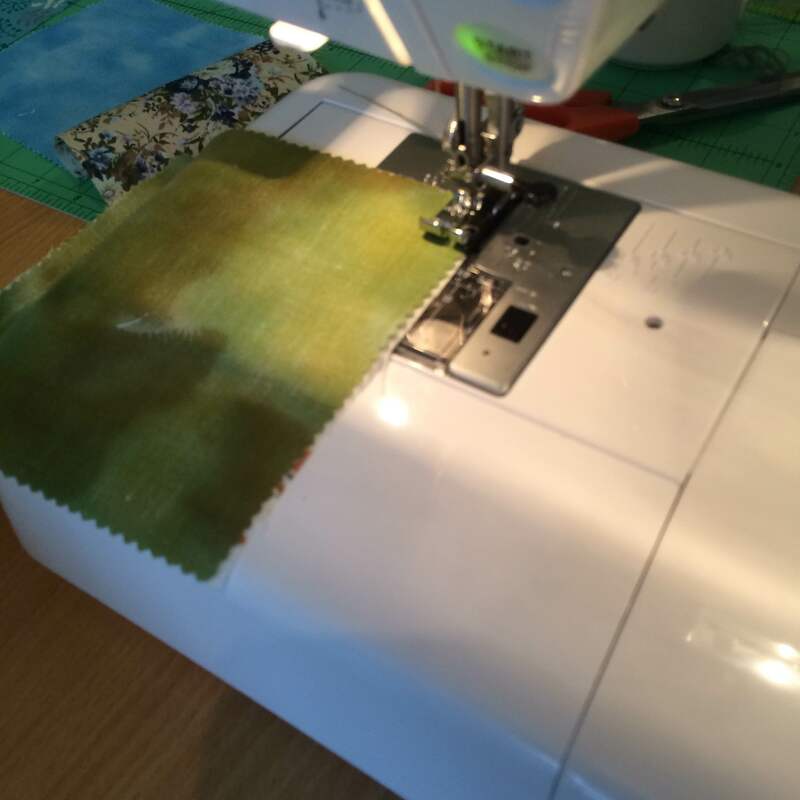 May 2016 – The haberdashery Blog. 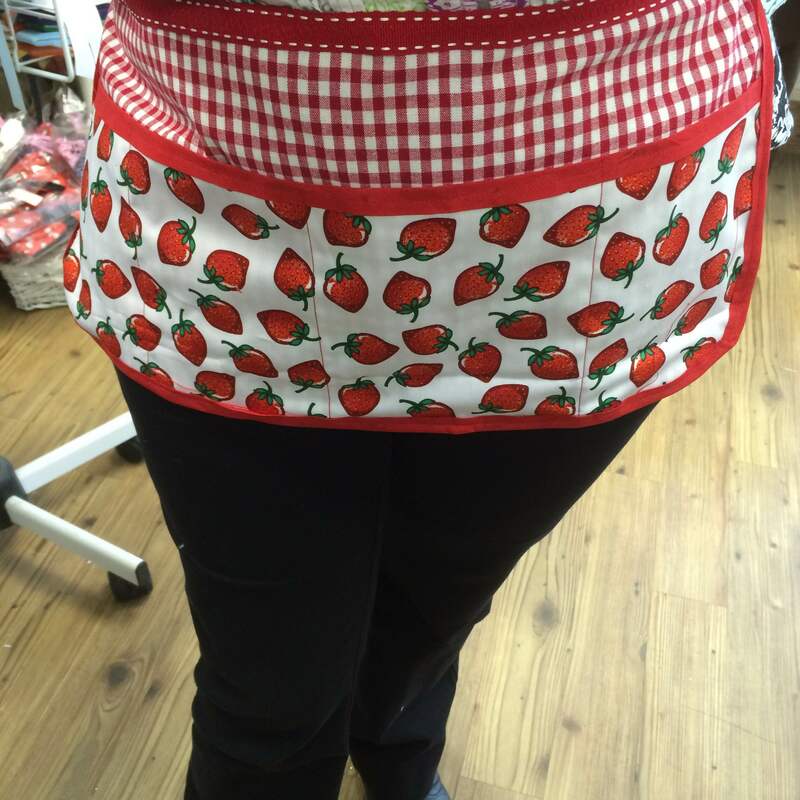 Wow wow wow…..What a week…..WARNING CONTAINS LOTS OF PICS! 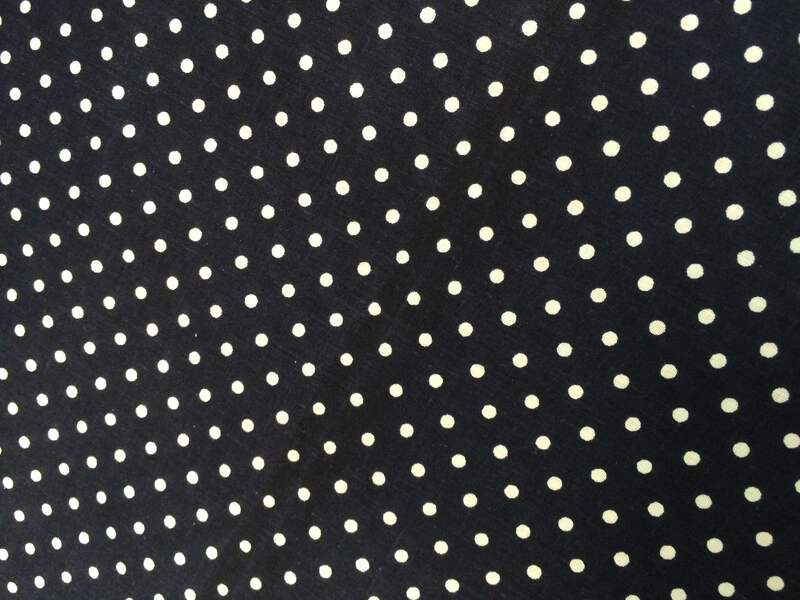 Right lets crack on with this weeks gossip. 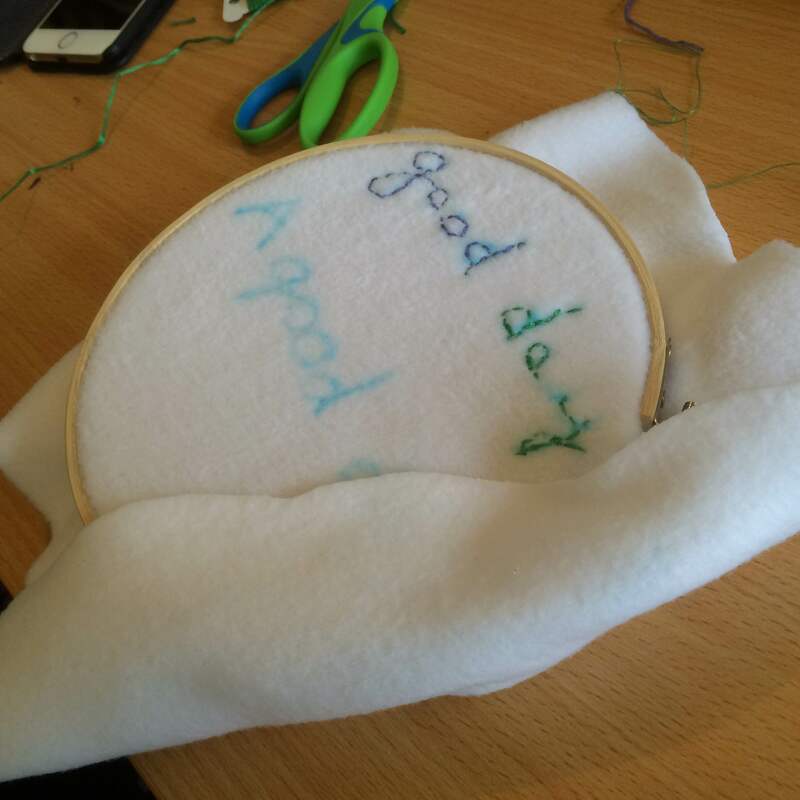 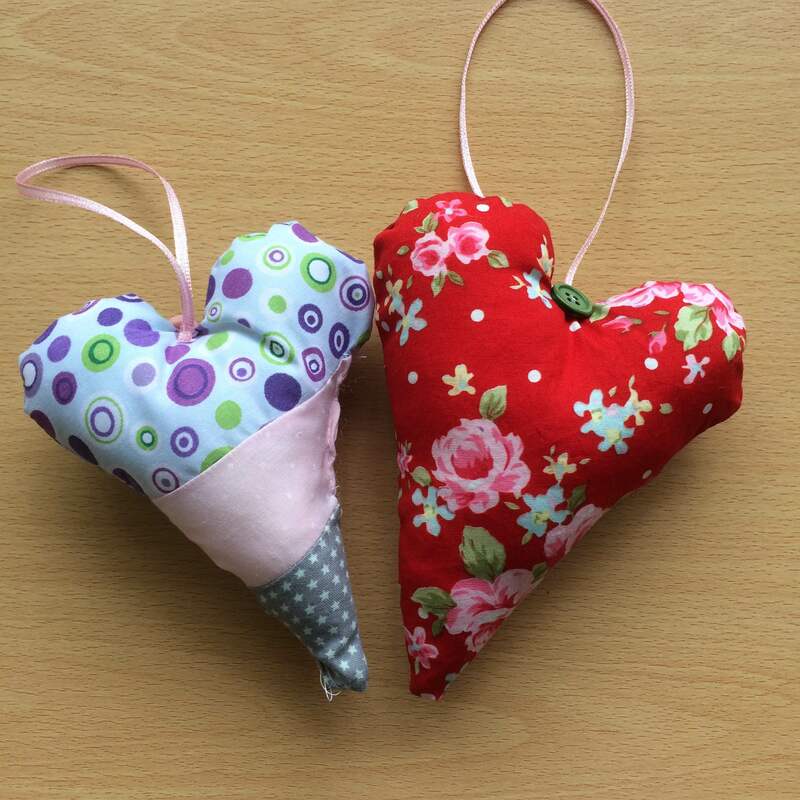 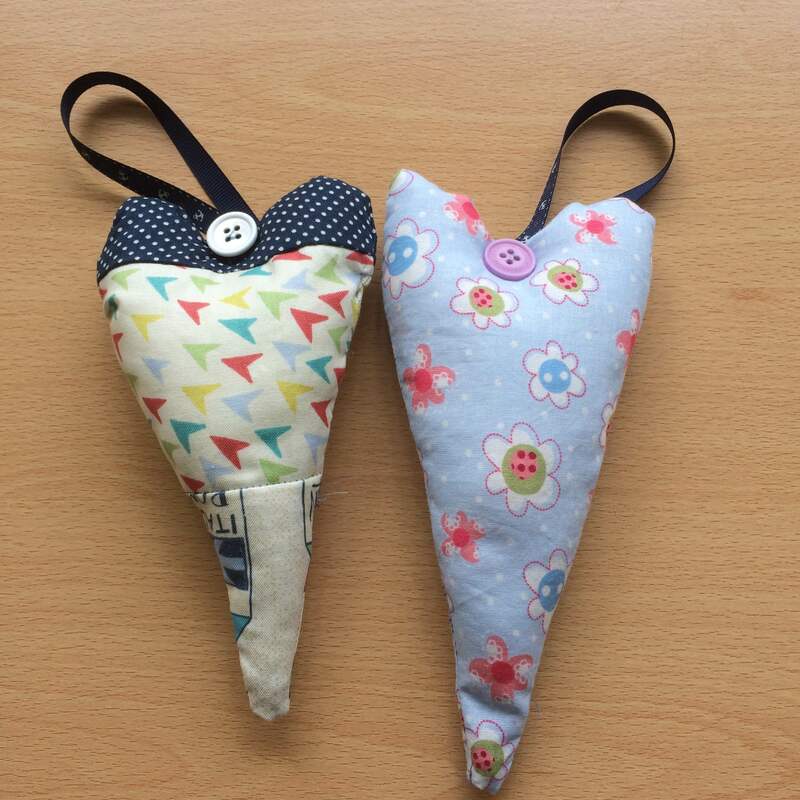 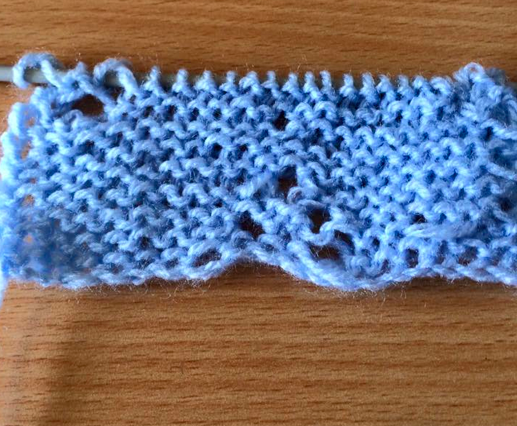 My little stitchers have been carrying on with their creativity this week…..(one very proud tutor here). 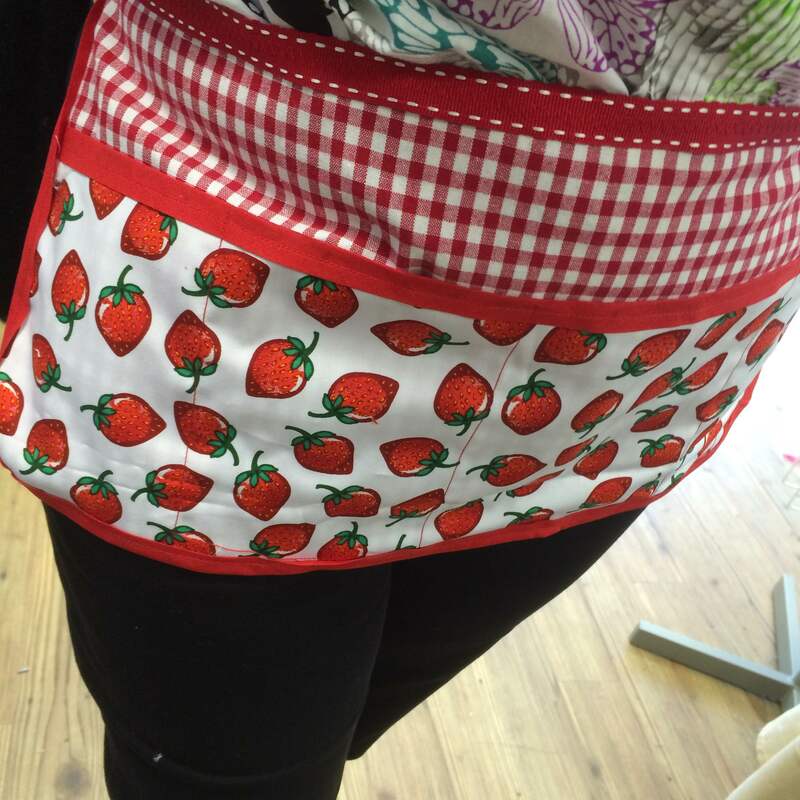 We’ve got loads of projects planned for our Sewing bee including this gorgeous tool belt…. 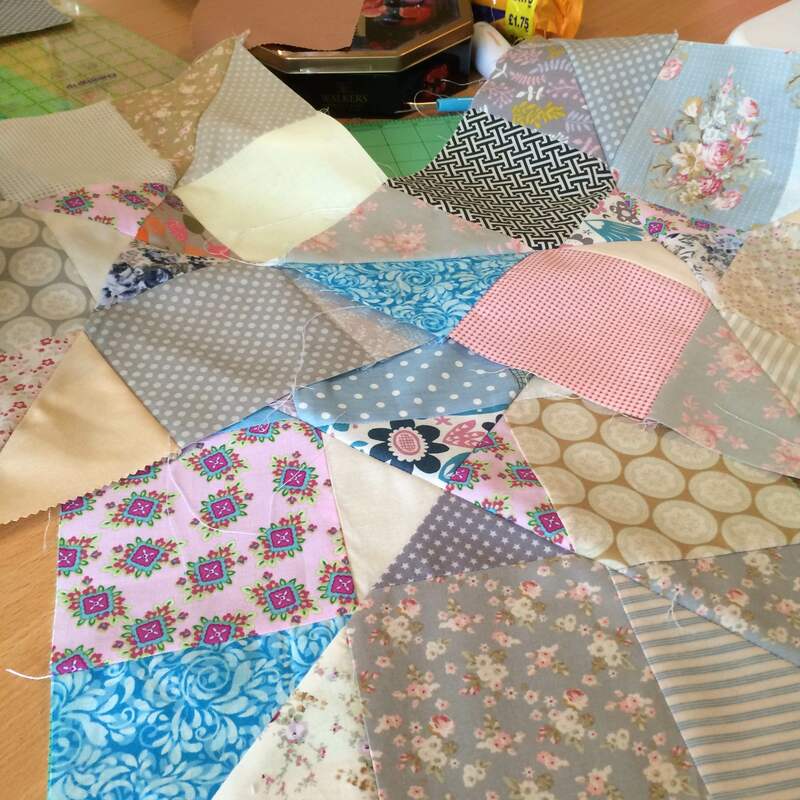 The week of workshops kicked off with our quilting course. 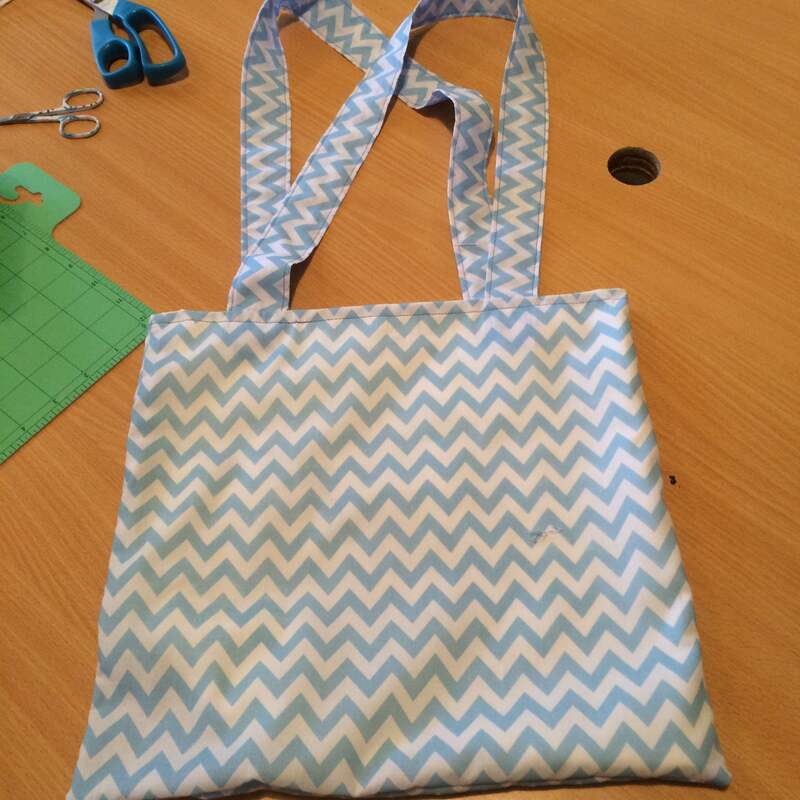 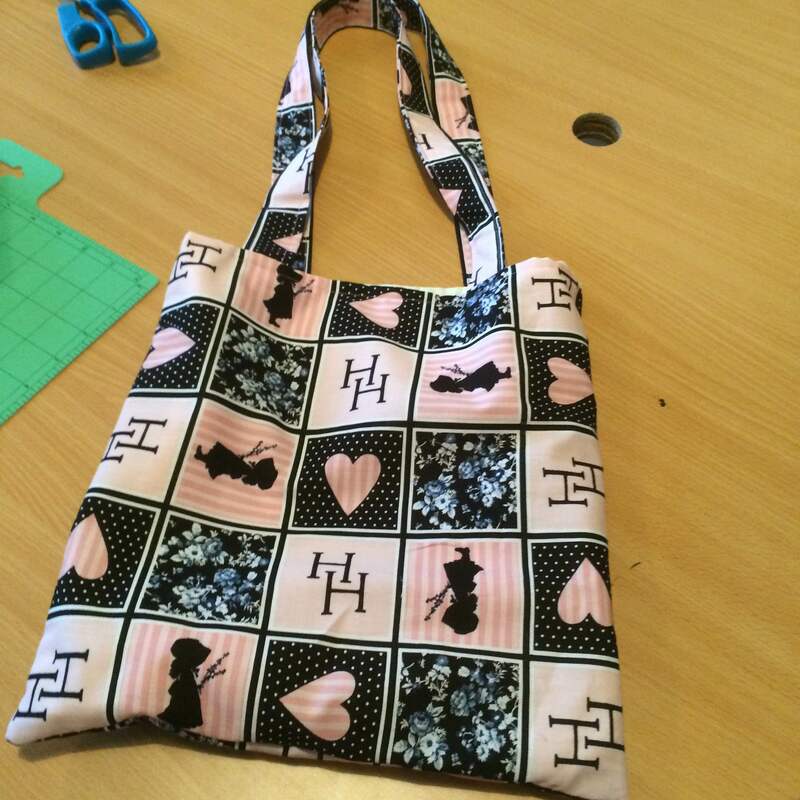 Once again my ladies joined me in the Sewing Studio to carry with their disappearing nine patch quilts…..
And then it was the turn off our Beginners Sewing workshop….mission was to create a tote bag…. 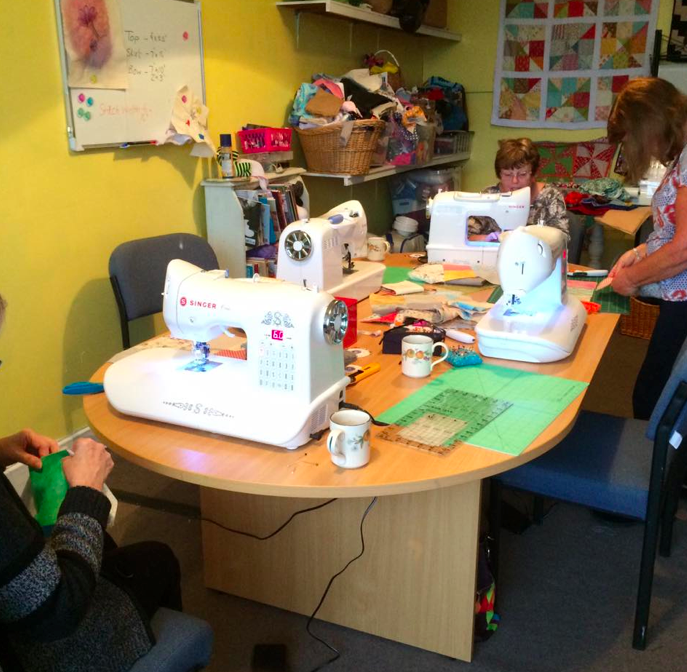 Whats been going on in the Haberdashery! 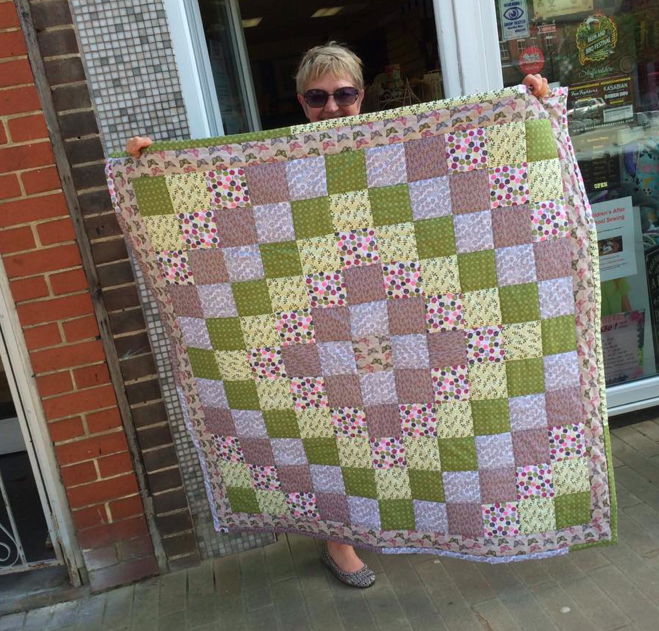 The shops had a move round…. 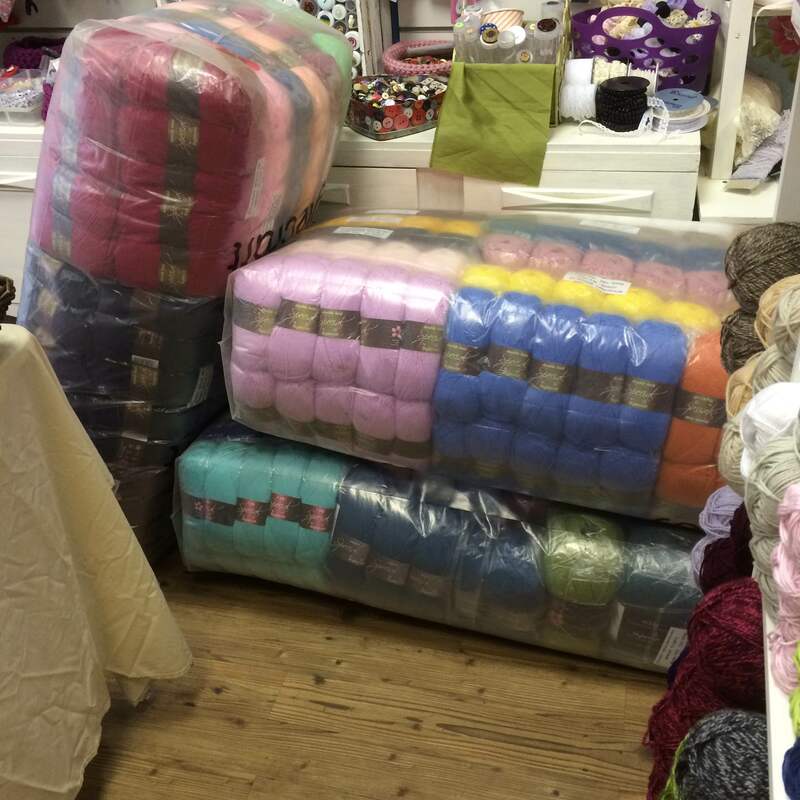 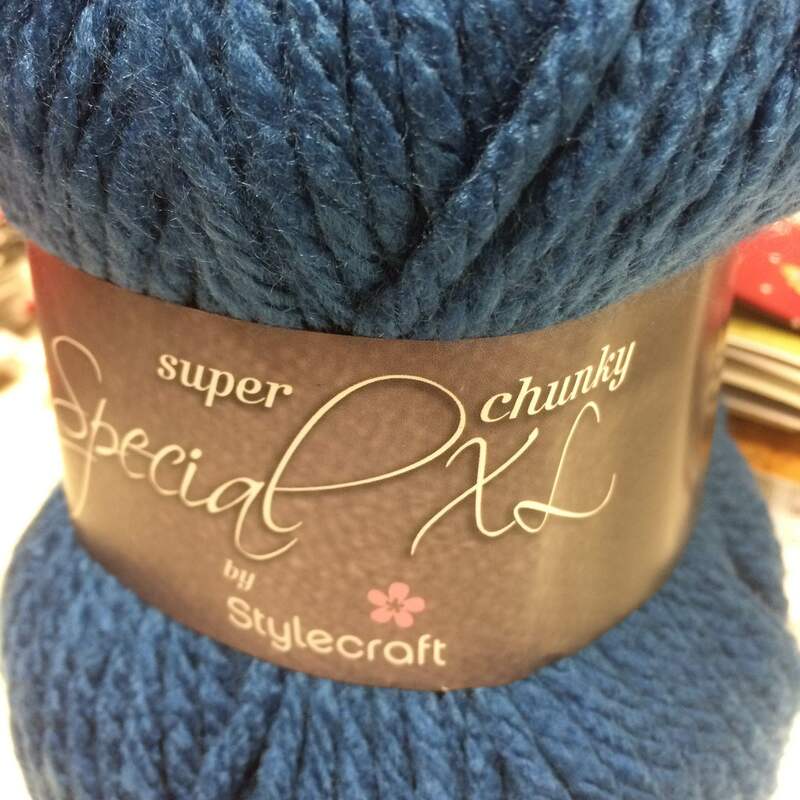 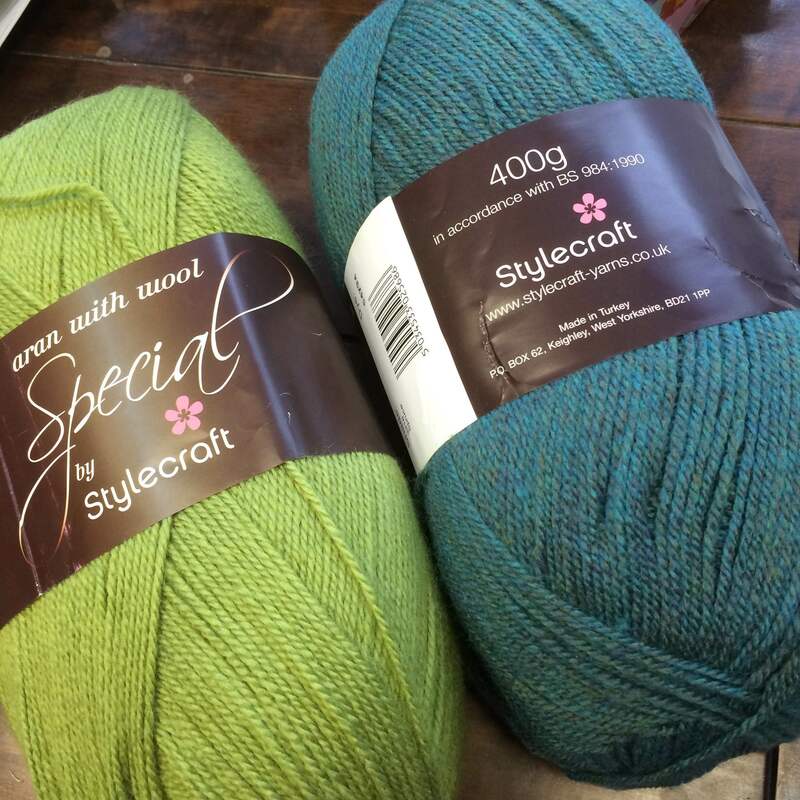 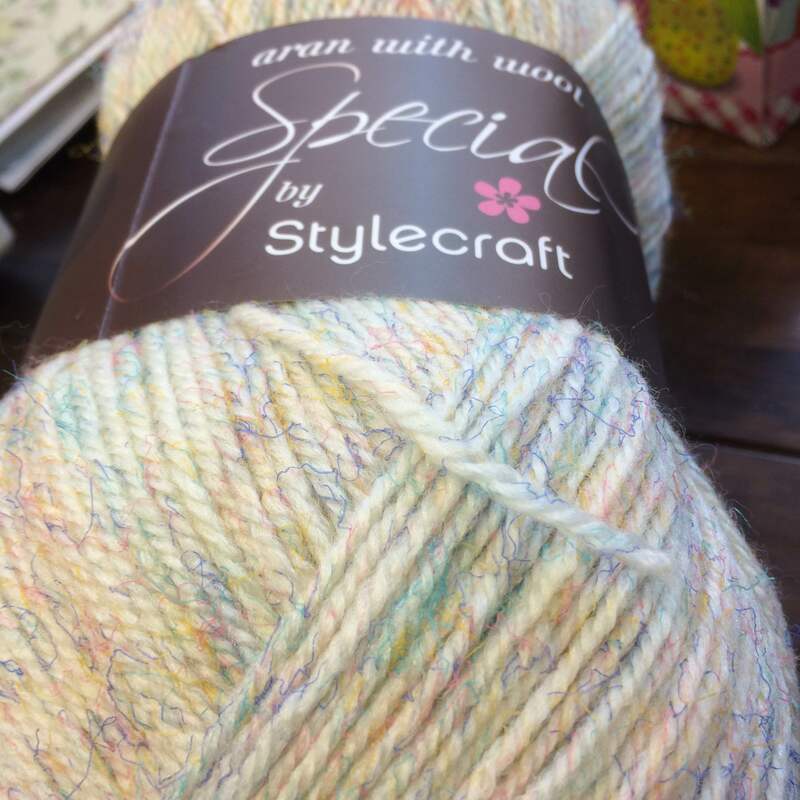 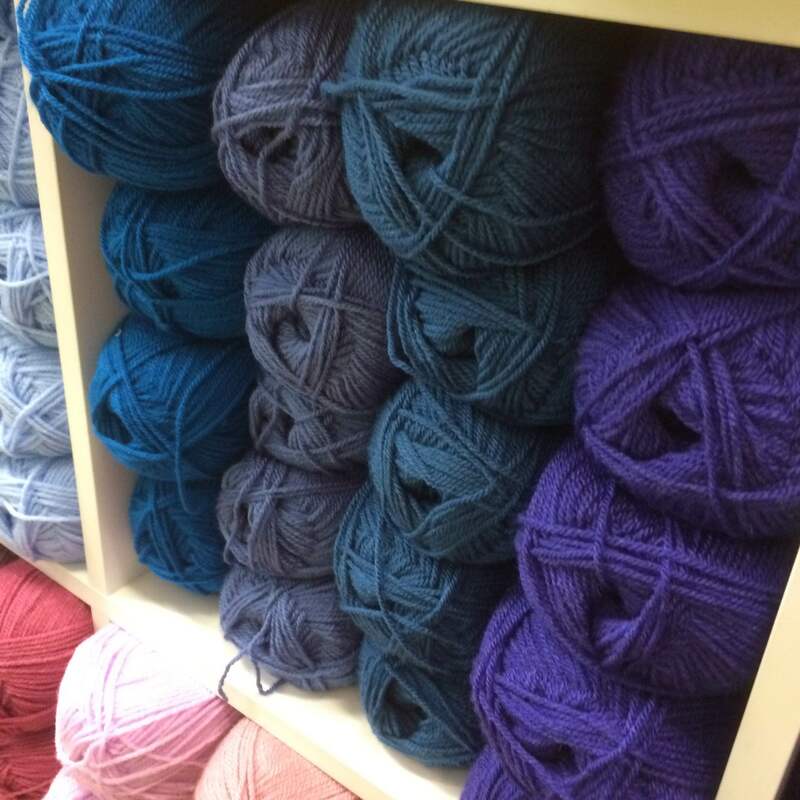 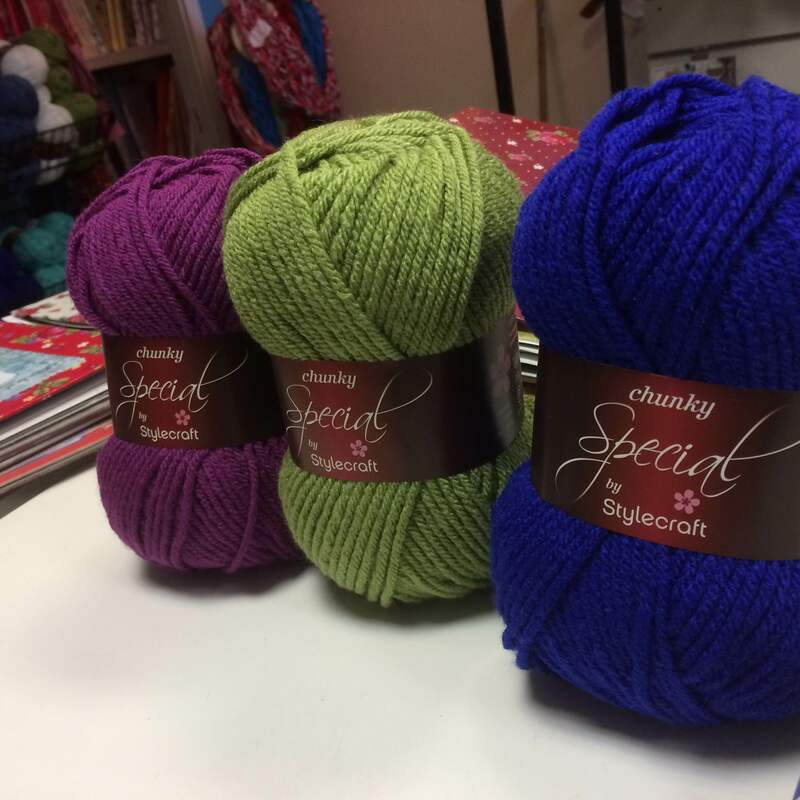 We’ve had a huge delivery from Stylecraft Yarns…. 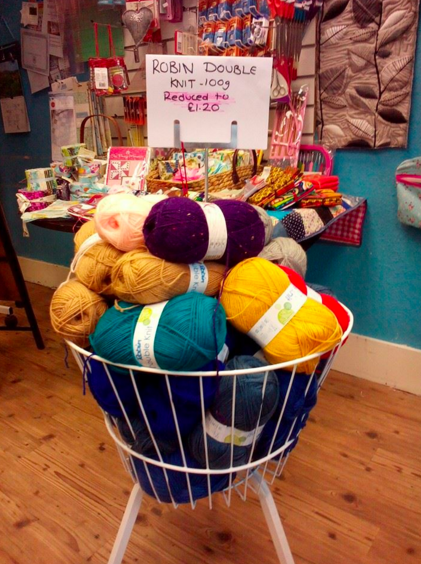 And we have a fab offer on the last of the Robin stock…. 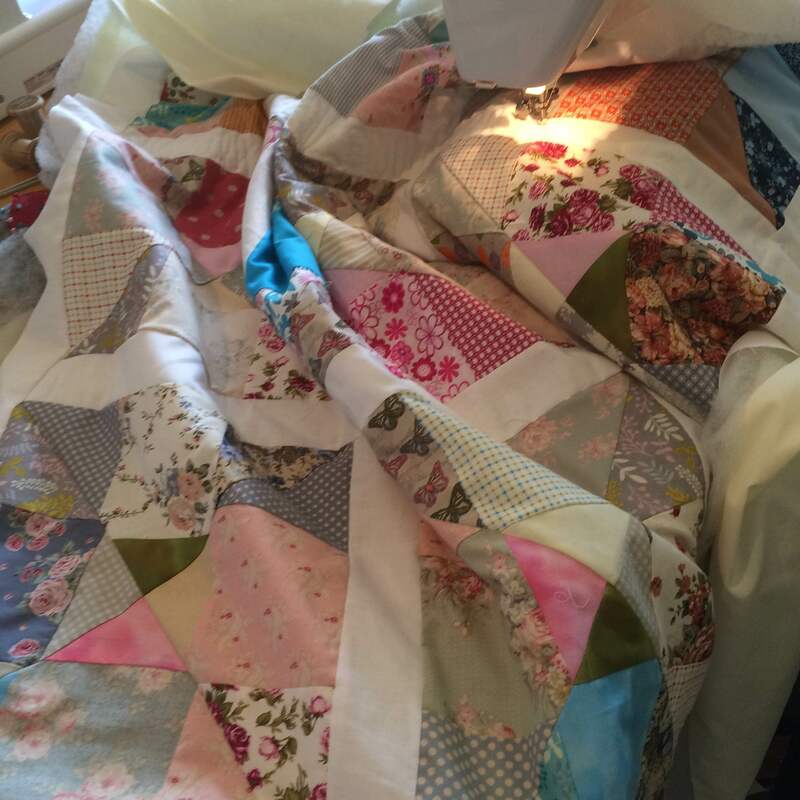 Its been an amazing week. 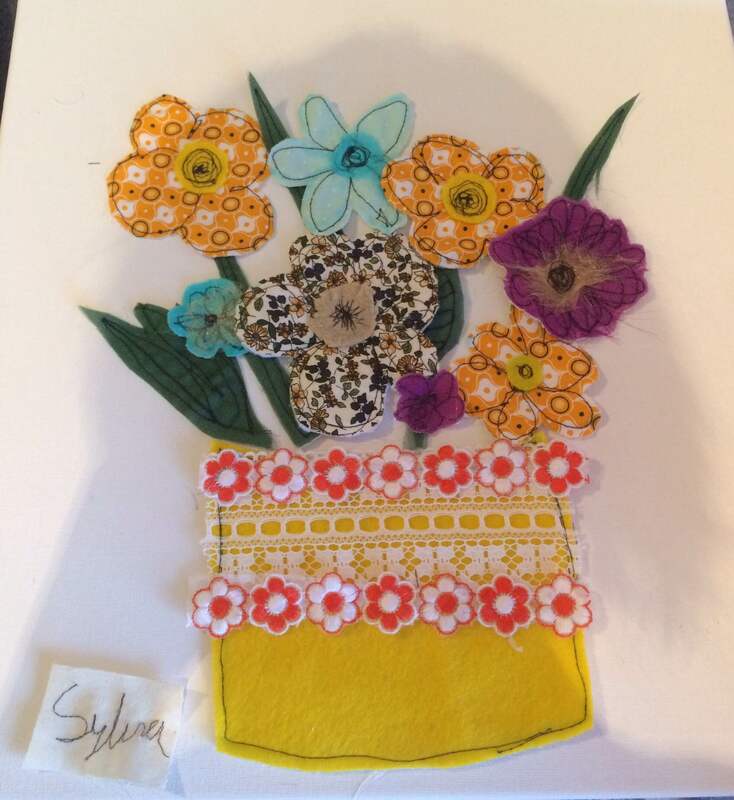 Thank you so much for your support and lovely comments. 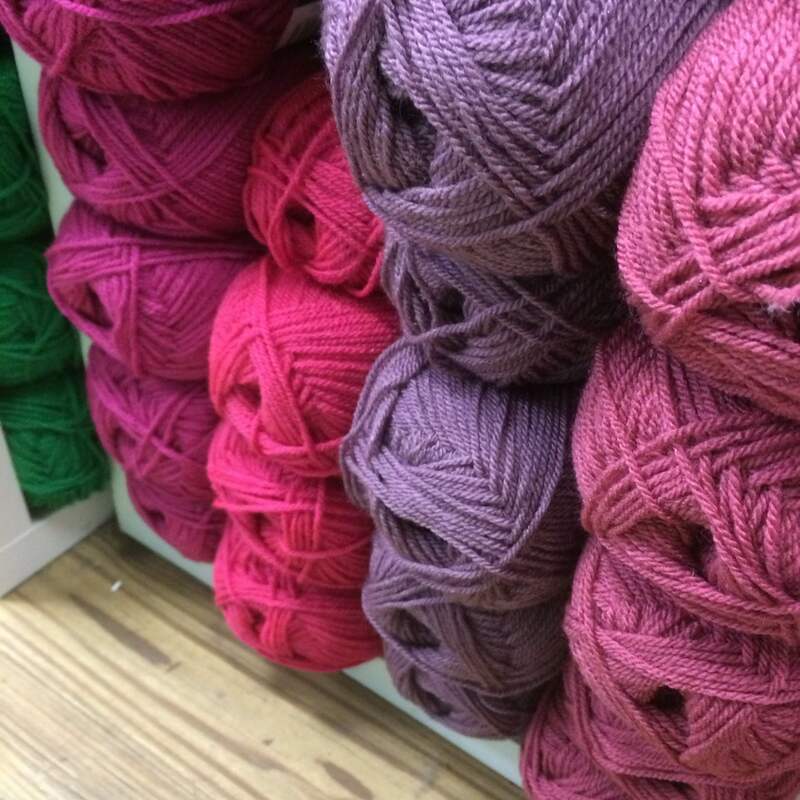 See you next week for another fun-filled week. 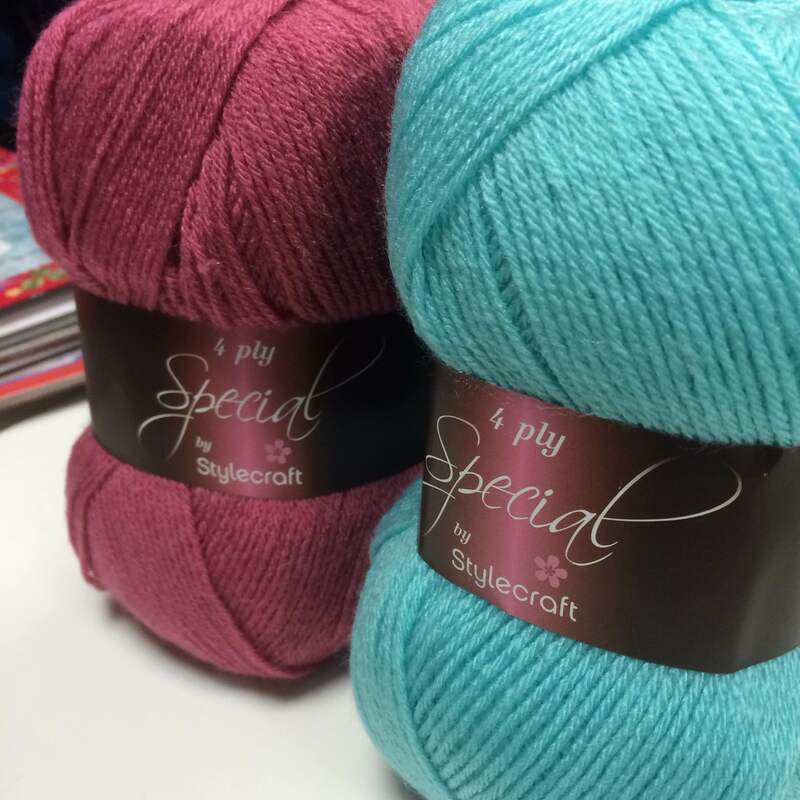 It Just Gets Better & Better ! 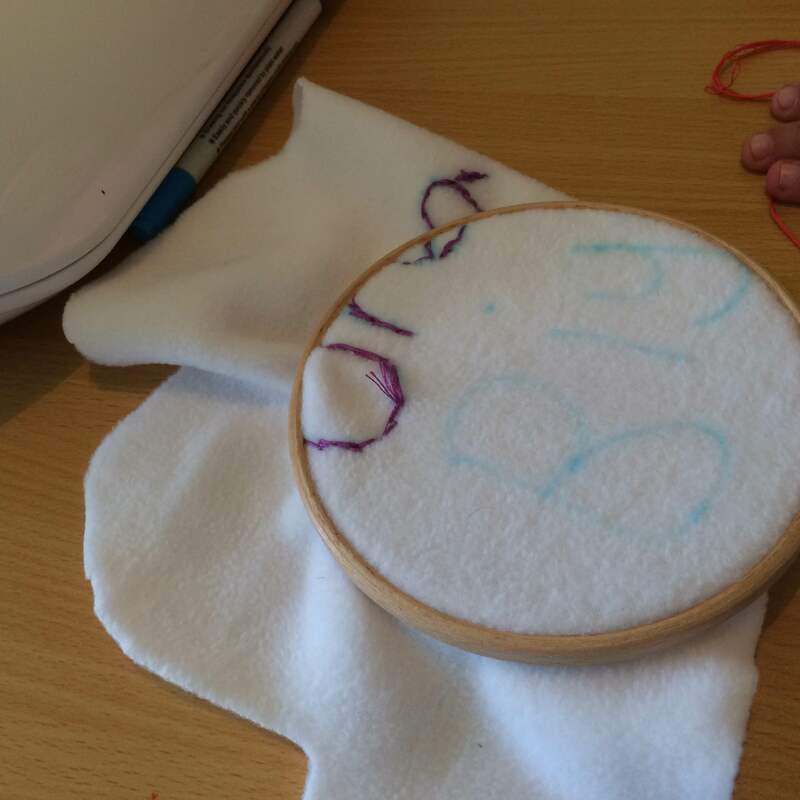 Its been an incredible creative week for both young & old (or older). 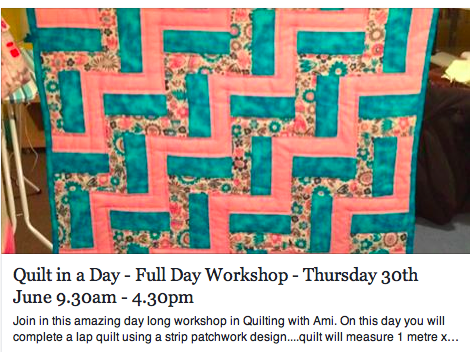 I’m going to start with our evening workshops that have ran this week….. 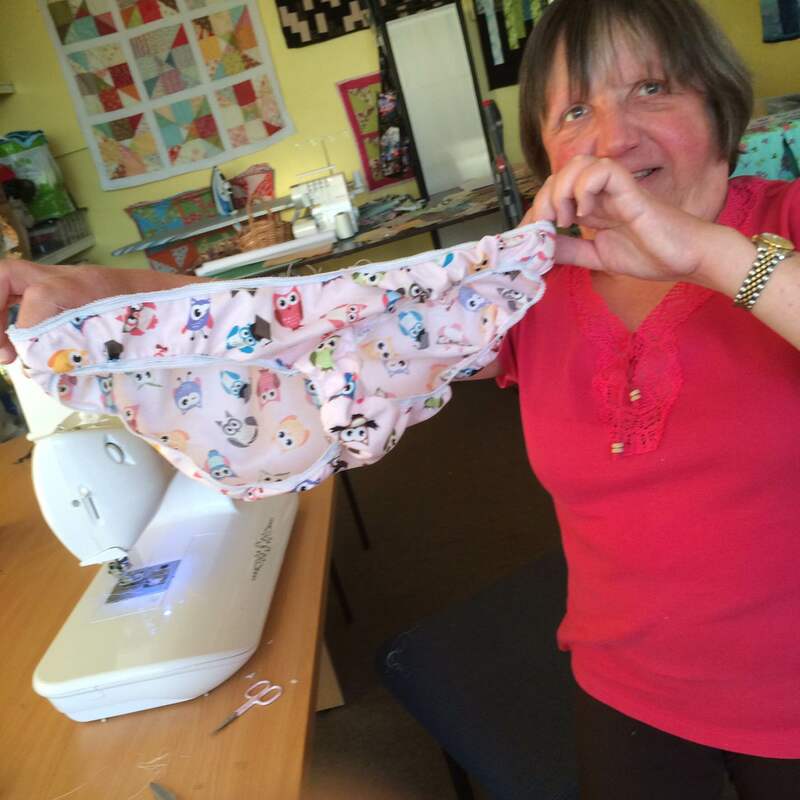 The Knicker Party and the 2nd night of our quilting course. 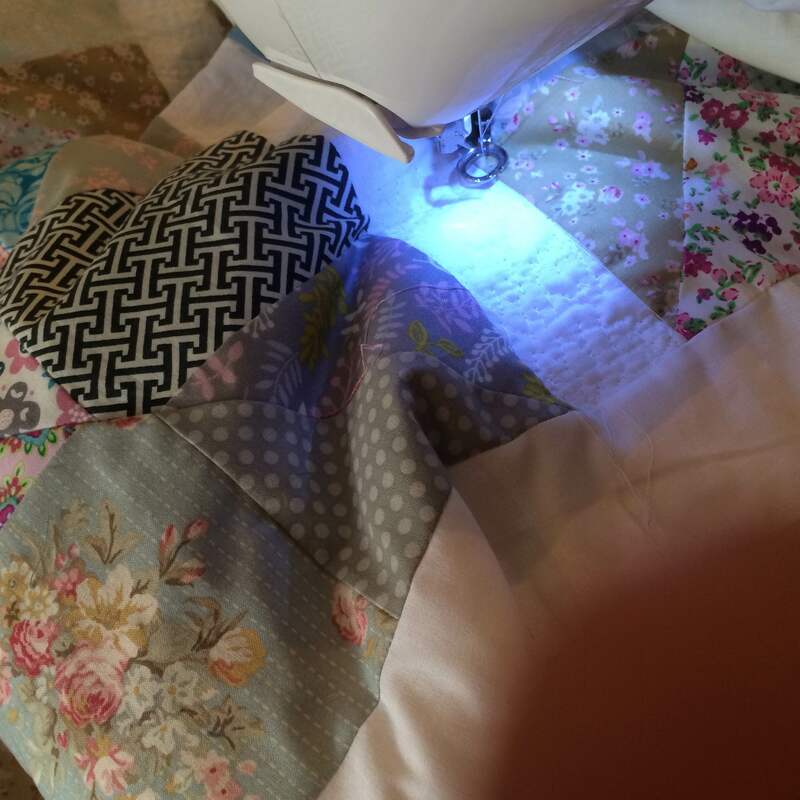 Now lets move on to my little stitchers. 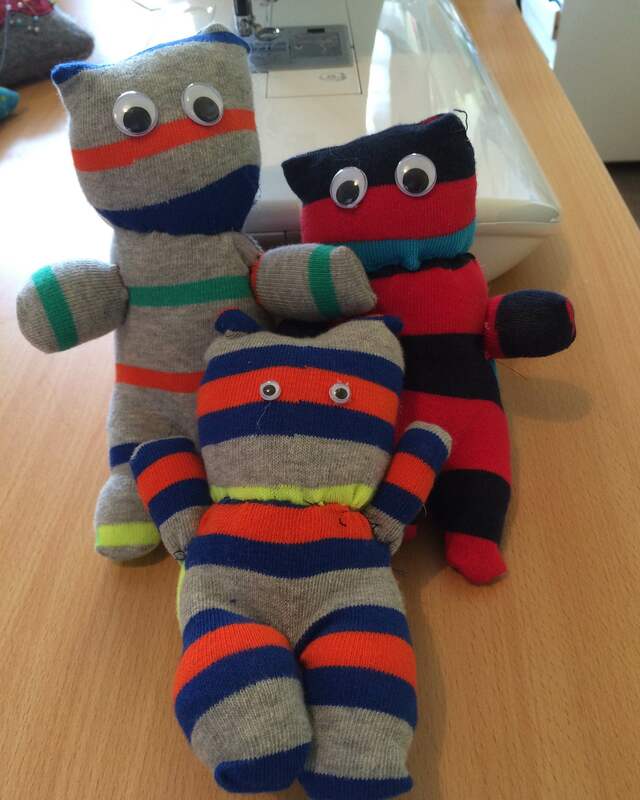 For a couple of weeks they have been busy behind the scenes, but now I can share the end products and I must say I proud I am of them…..take a look. 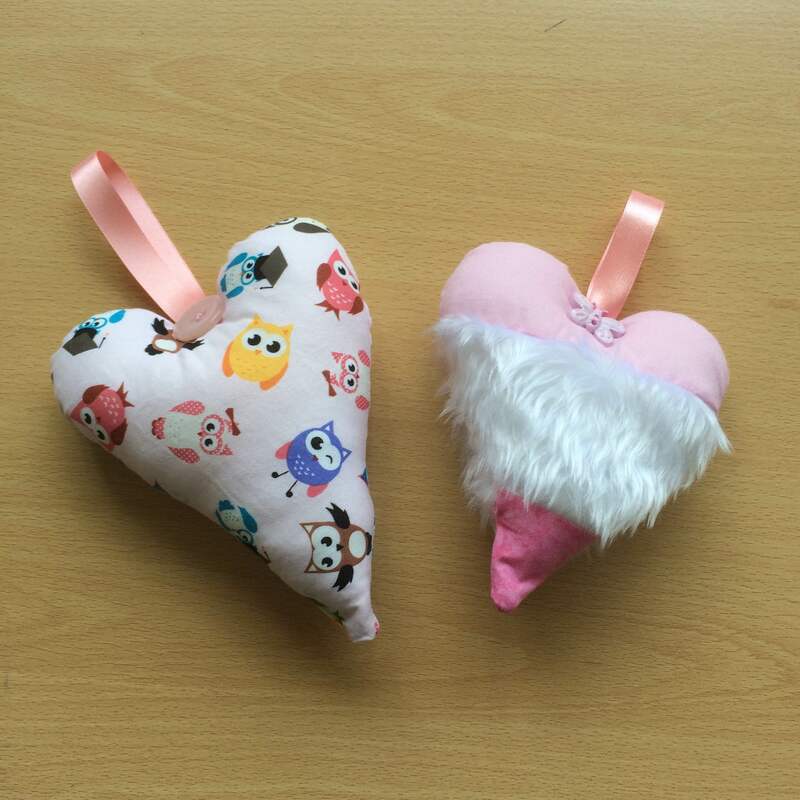 Aren’t they fantastic……and we have more, much more planned. 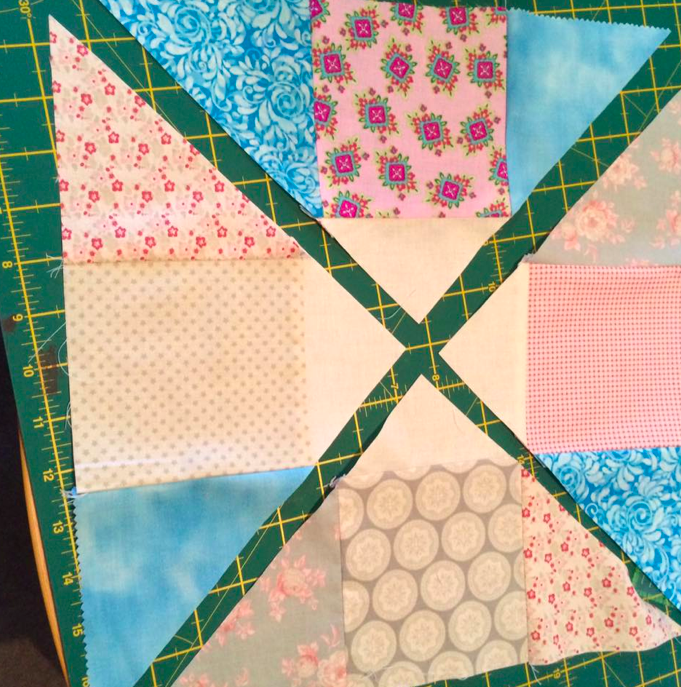 My Town & Country Project is off to a good start. 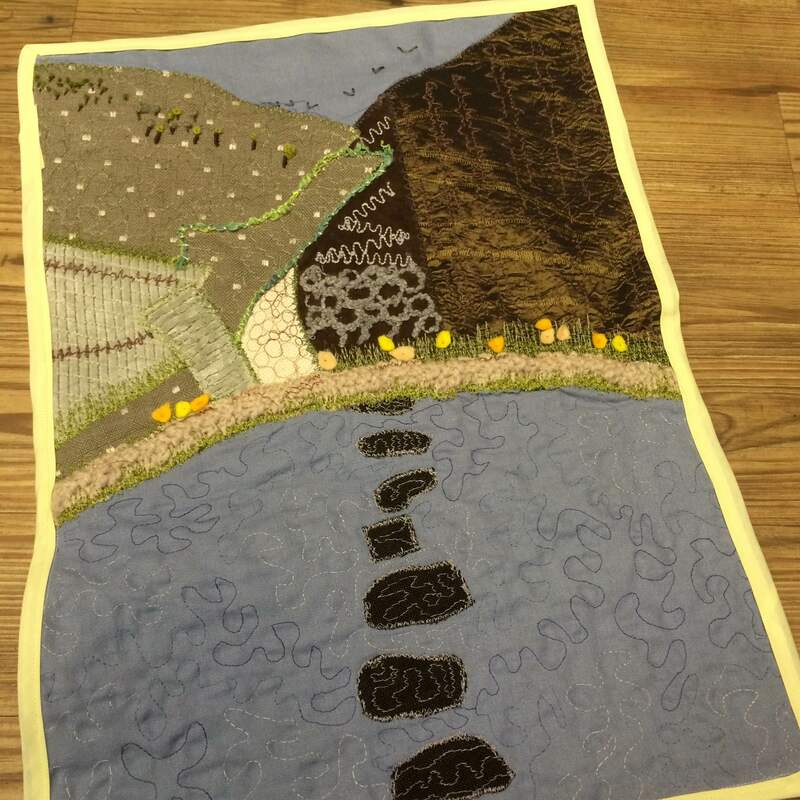 Firstly with a textile collage of one of my favourite places….the stunning Dovedale. 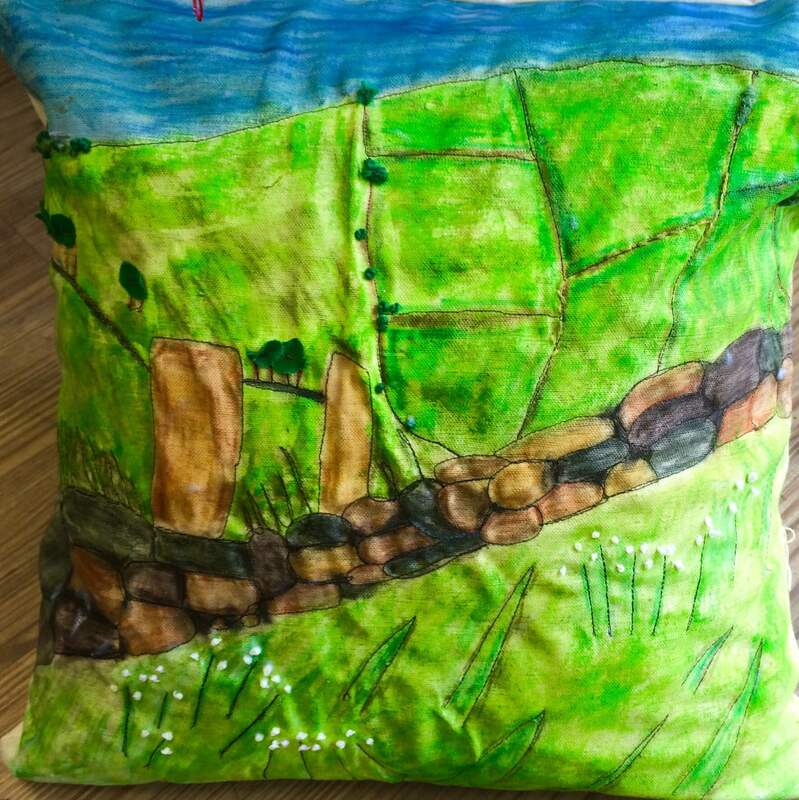 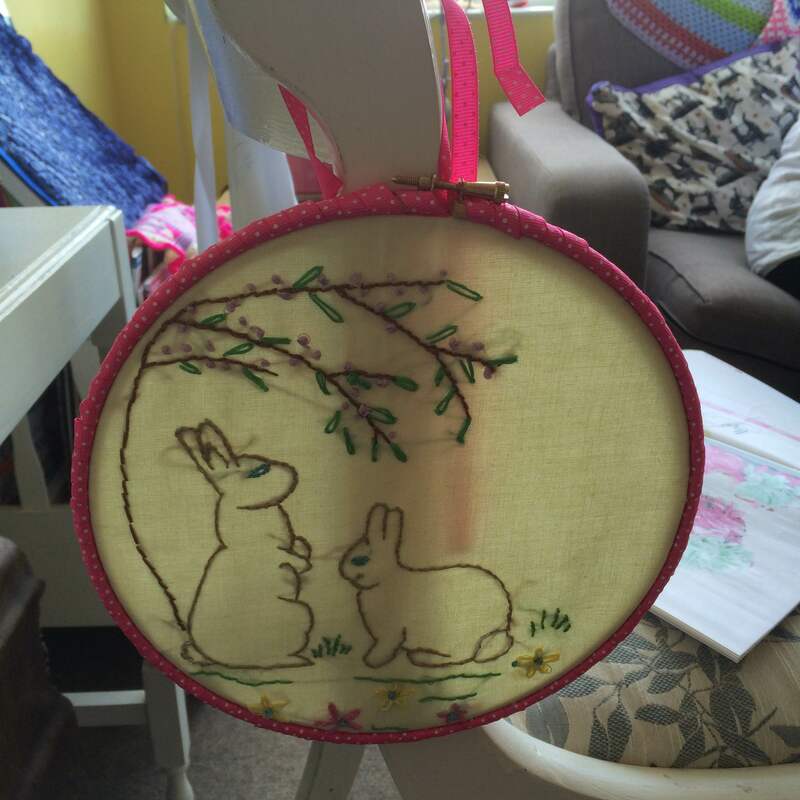 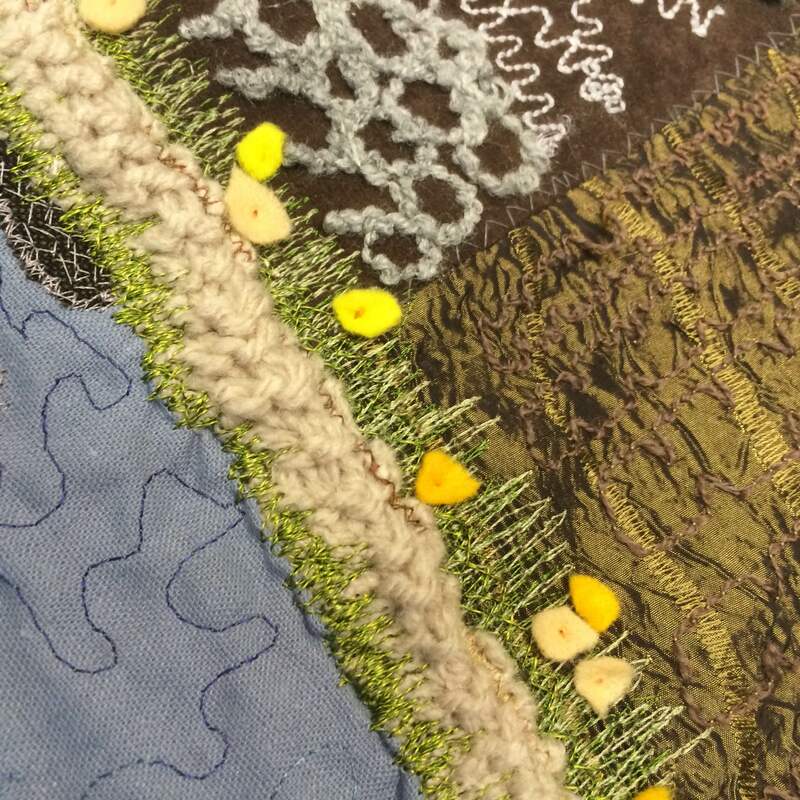 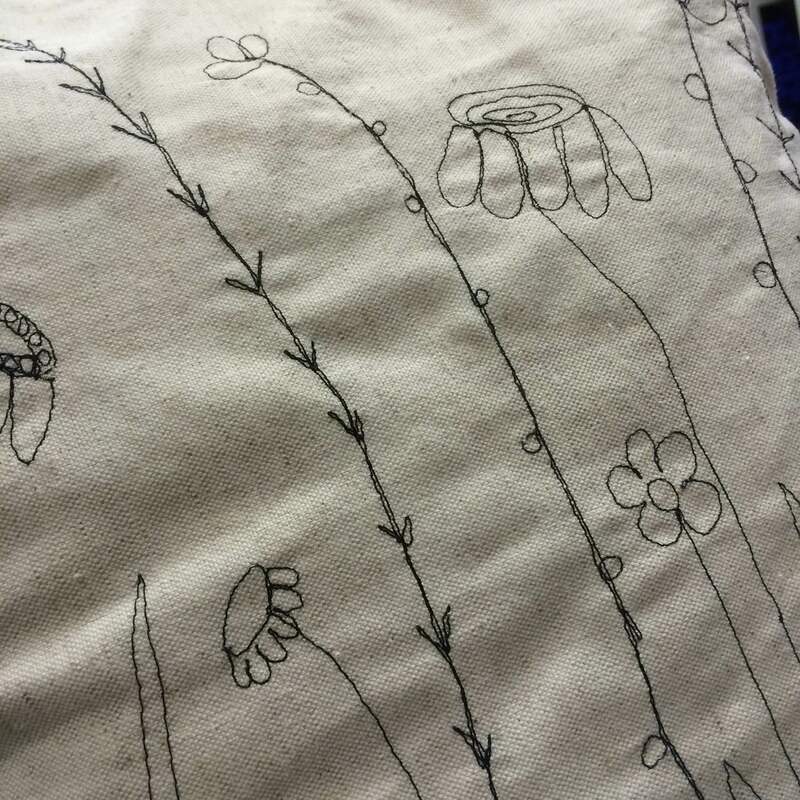 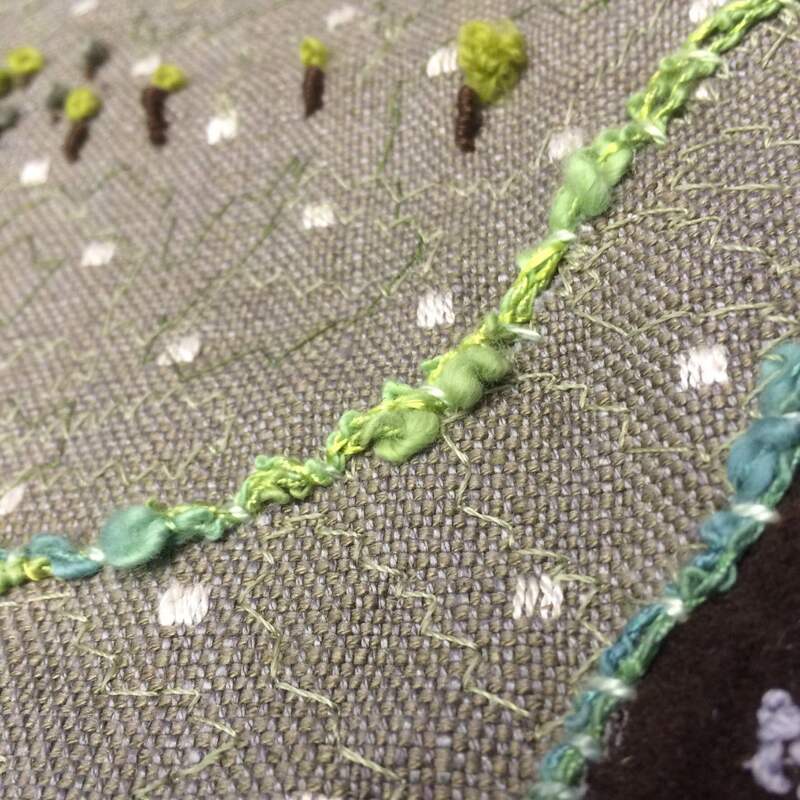 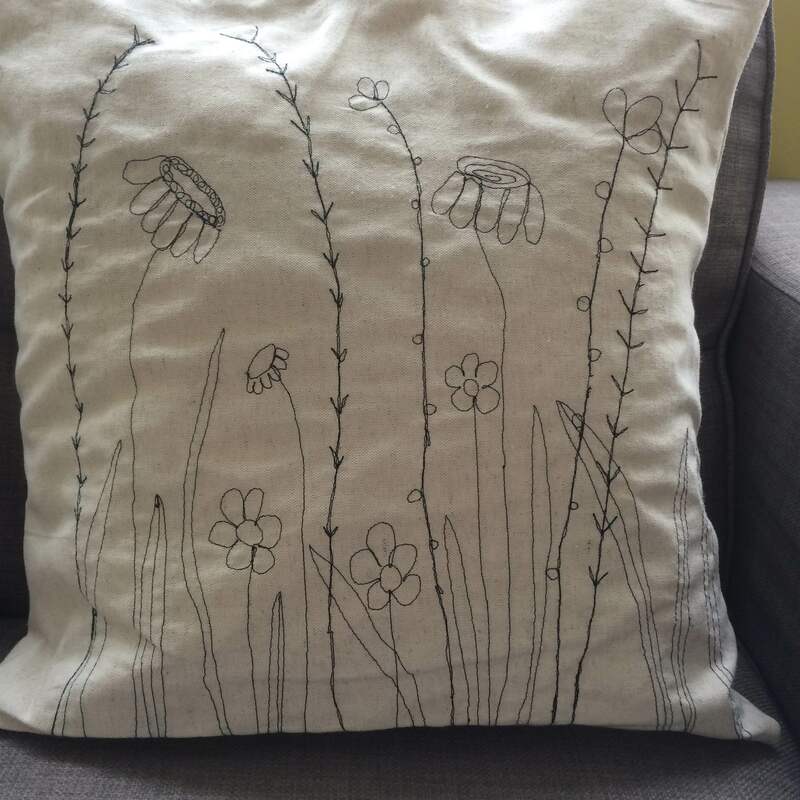 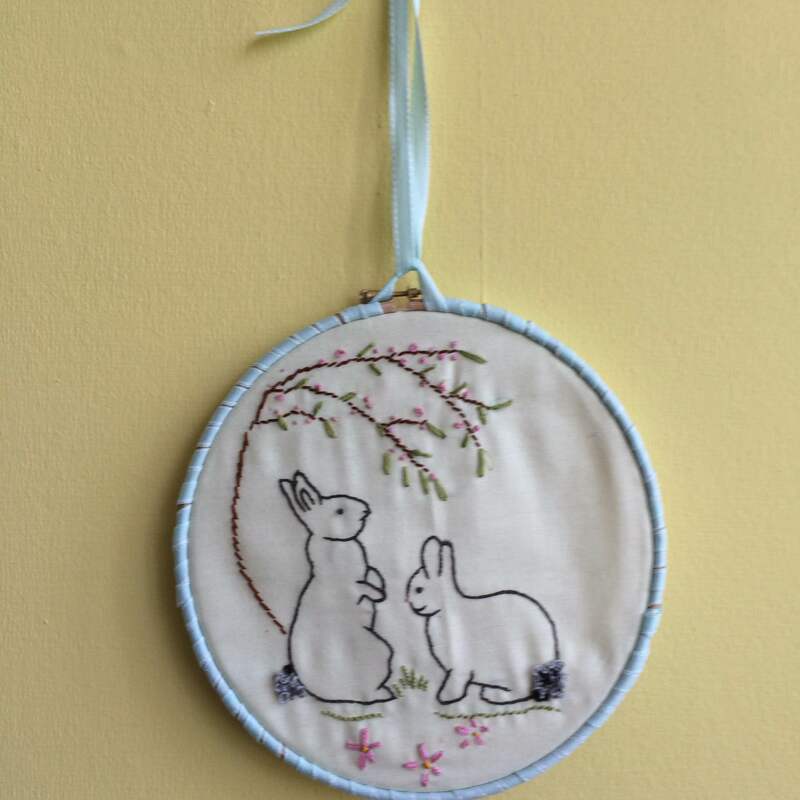 and then it was on to free motion embroidery …..Meadow Scene. 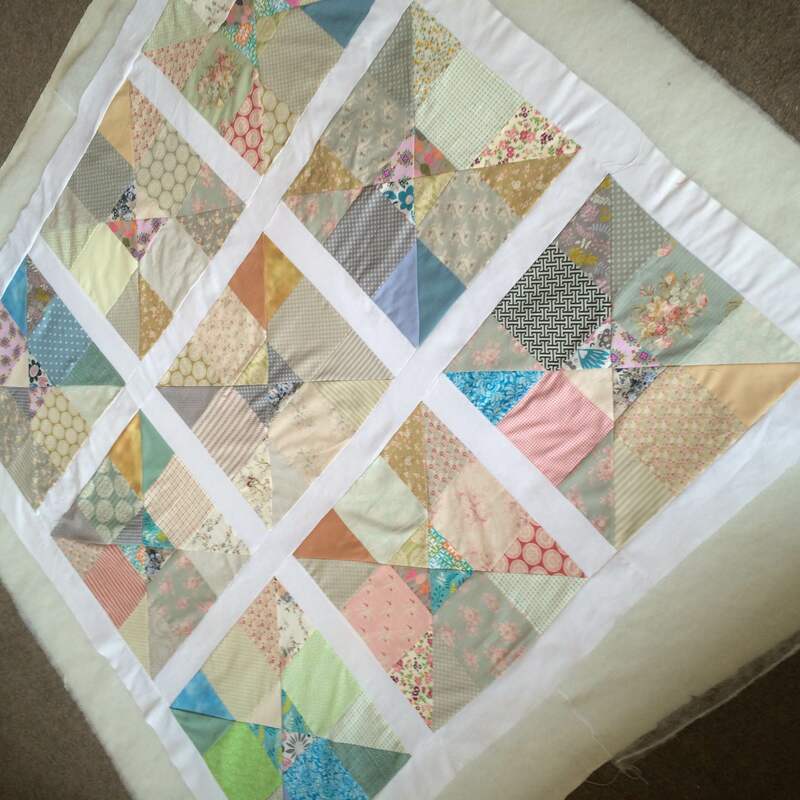 And then to finish off the week I managed to finish an unfinished project. 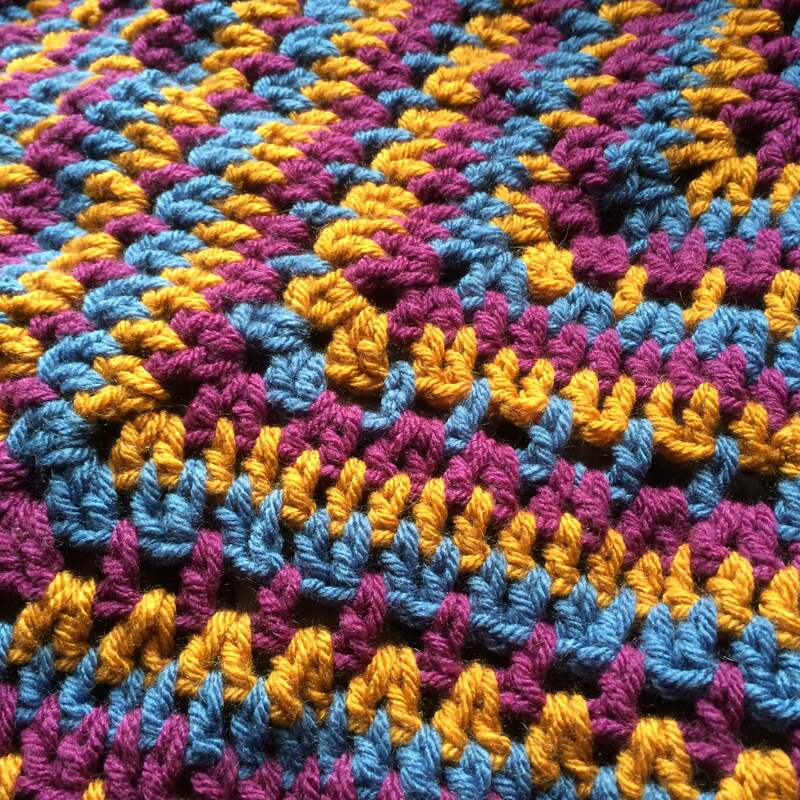 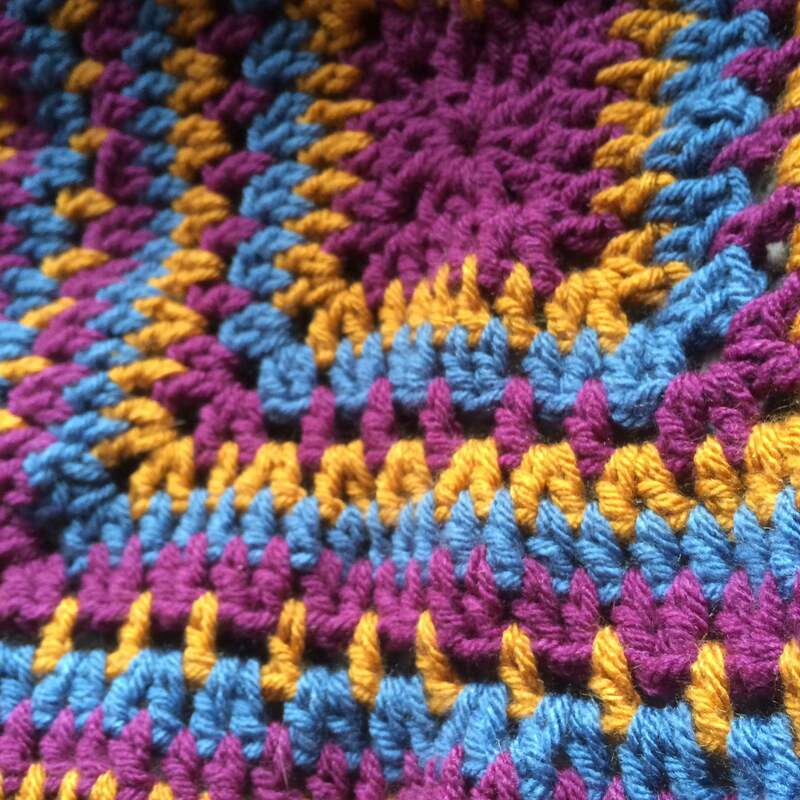 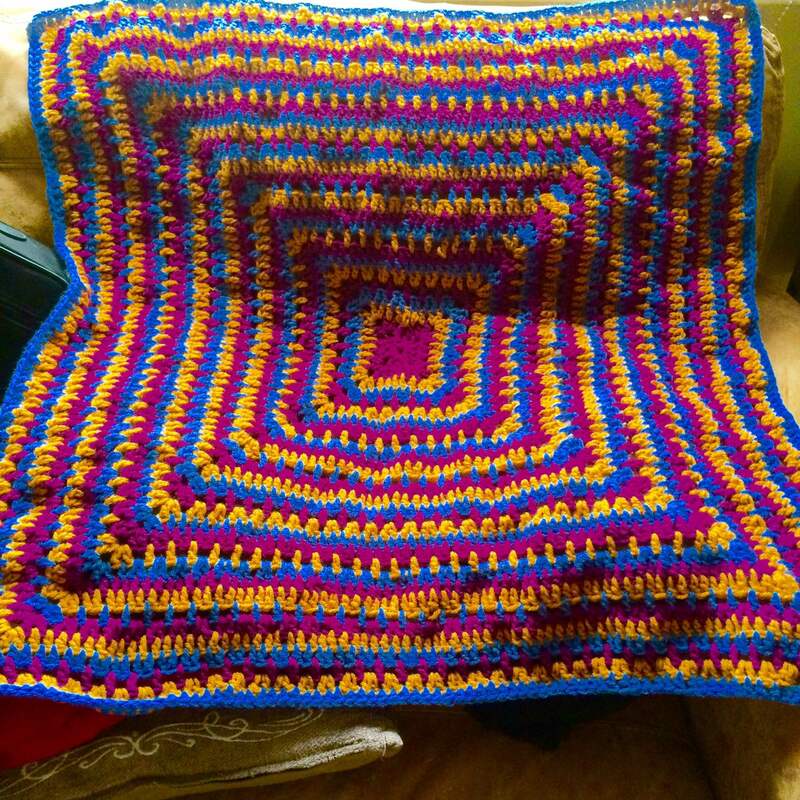 Lap blanket using Stylecraft Chunky Yarn. 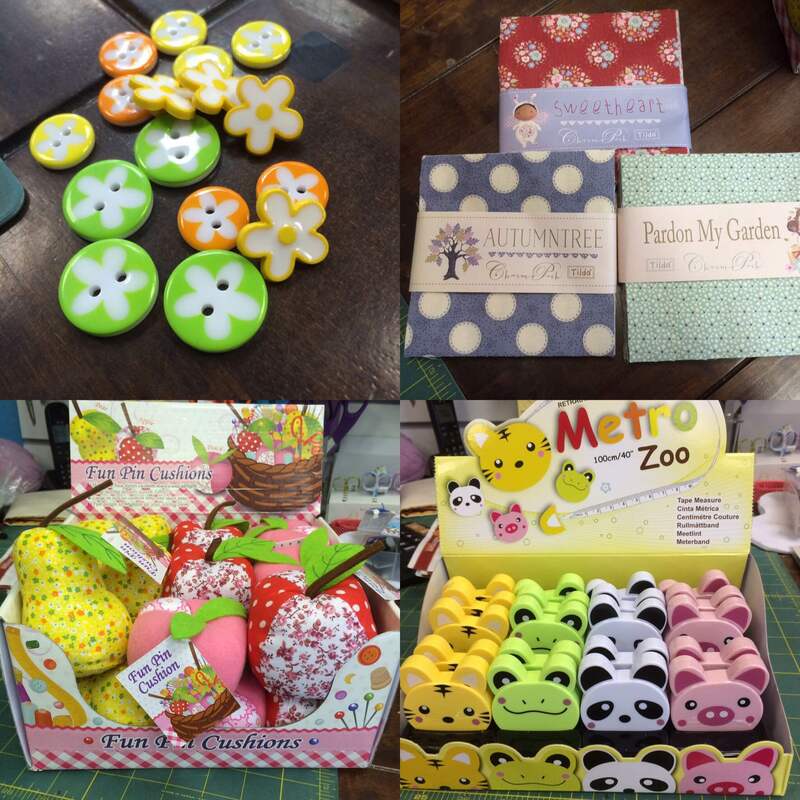 New stock in this week…. 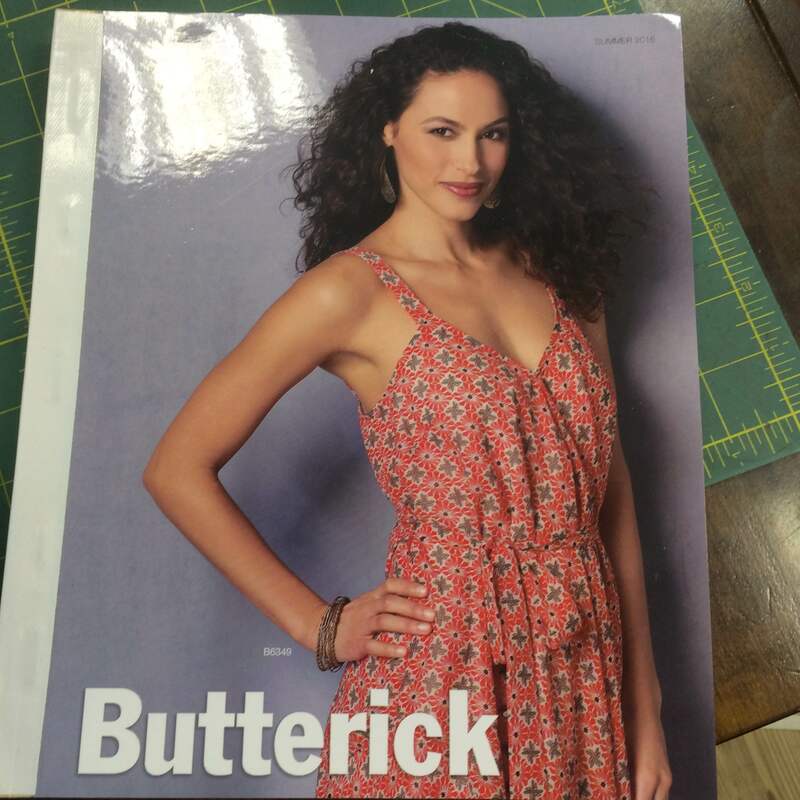 The new Butterick Catalogue came out this week and we have over 2000 patterns in stock and ready to go. 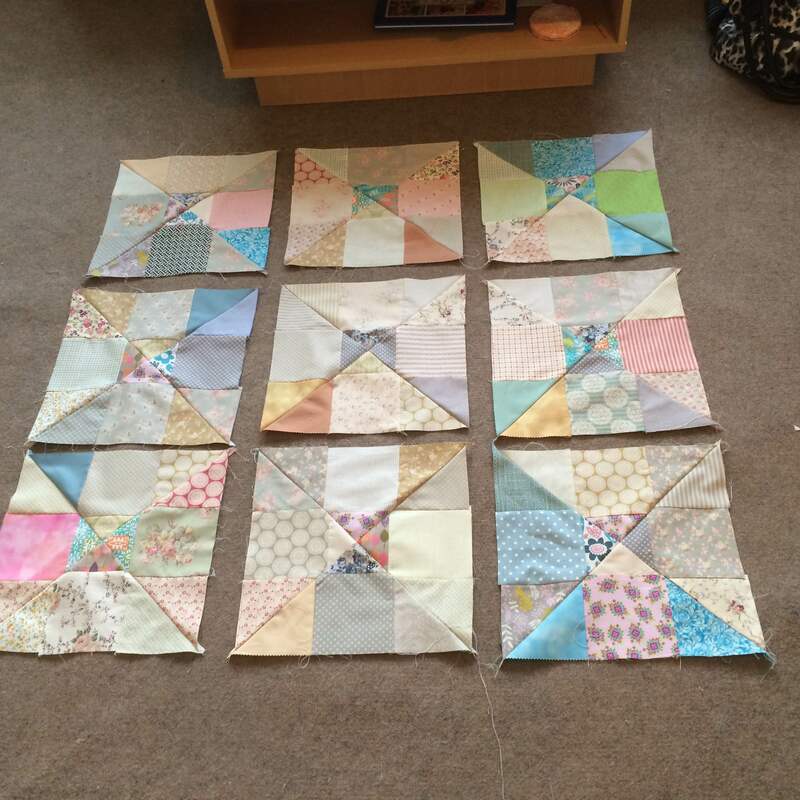 Thats it for this week. 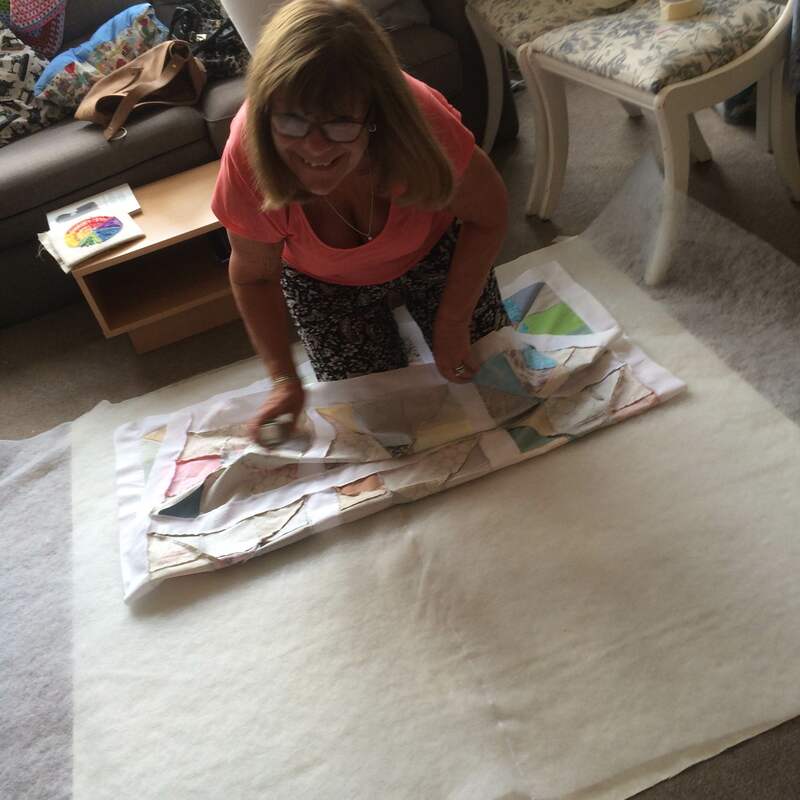 An amazing week, absolutely worn out but can’t wait until next week. 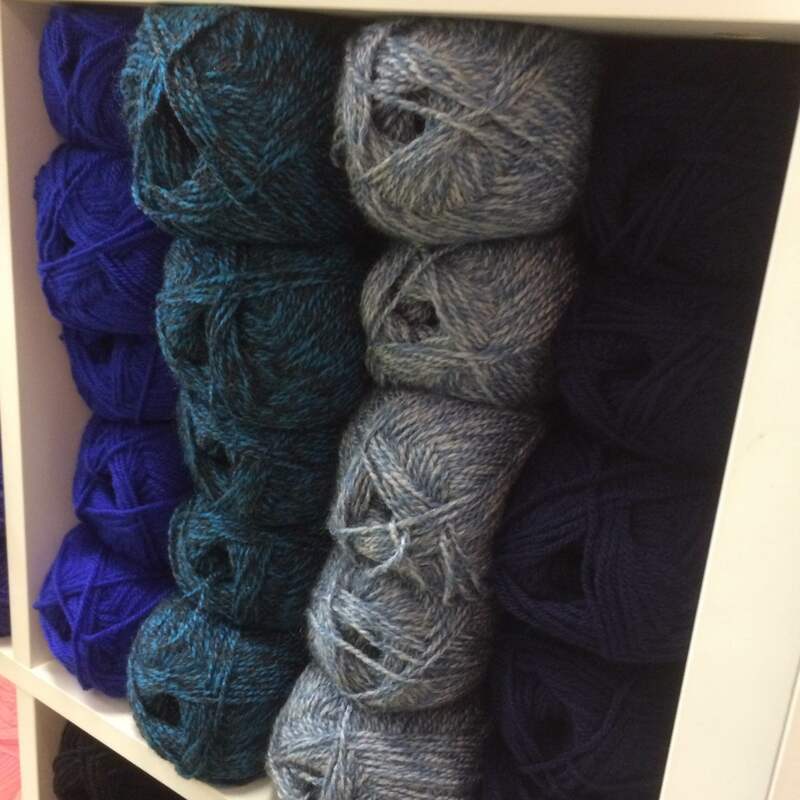 It’s an under statement to say I love my job. 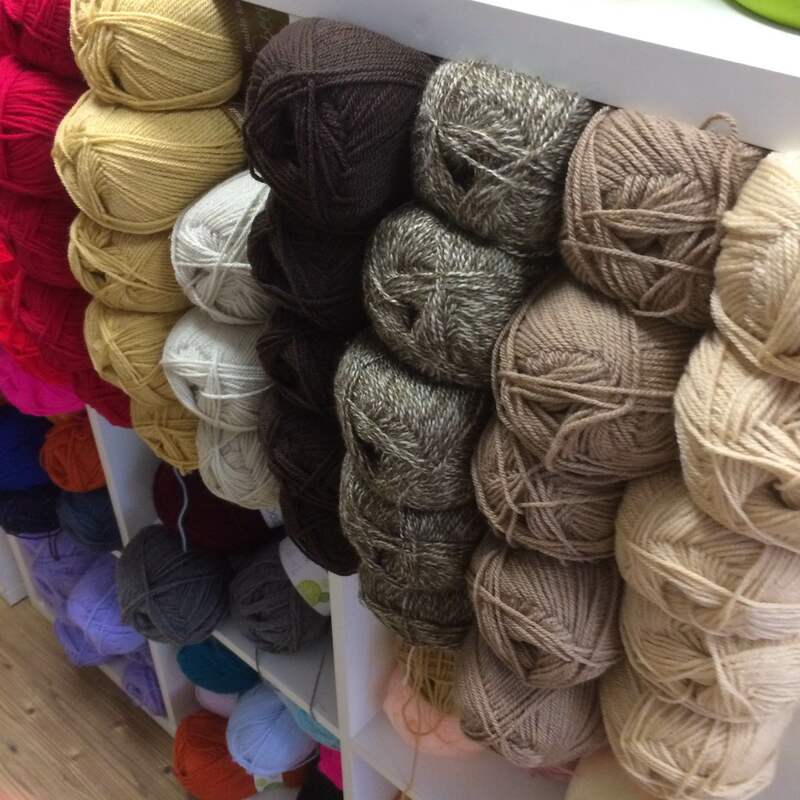 A shop filled with fabric and yarns is bliss, a Sewing Studio that is an inspirational room, light, airy and full of laughter. 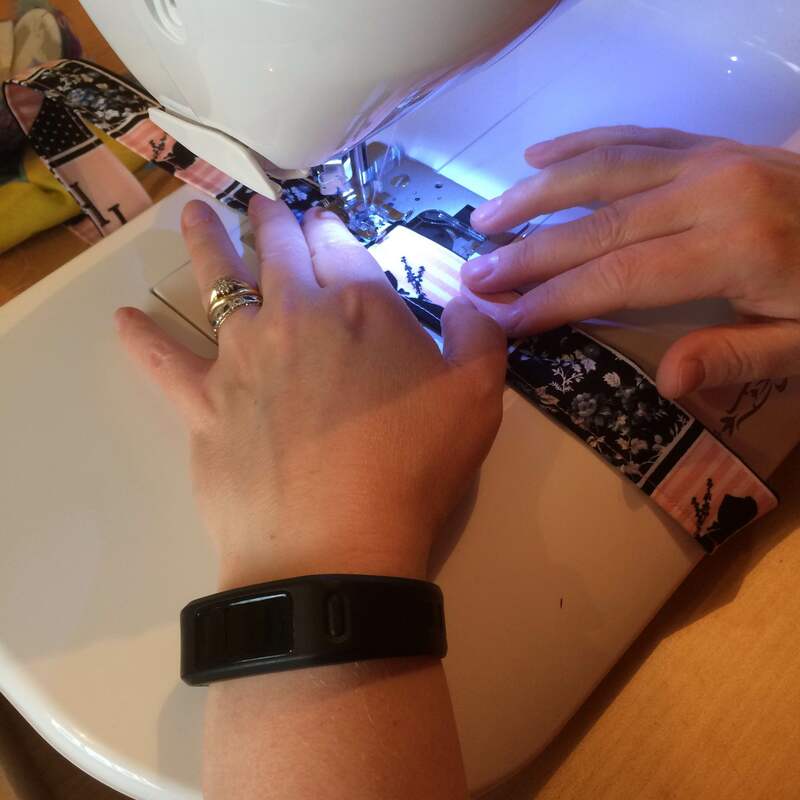 But the pinnacle part of my job is sharing passion of creating with others in our workshops and seeing what they go on to do at home. 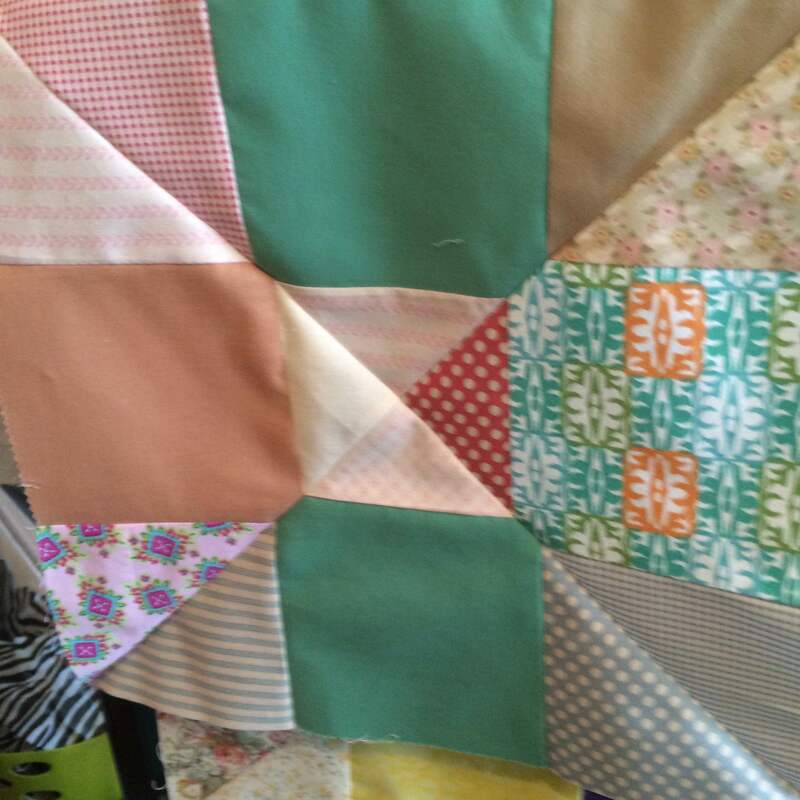 And this is my starting point on this weeks blog. 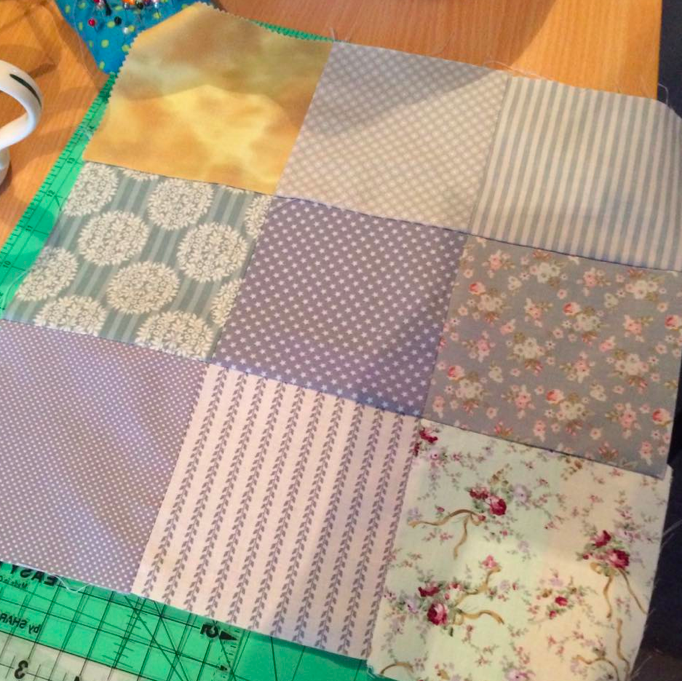 My Mum joined our April’s 3 part quilting course as a complete beginner (as were the other ladies). 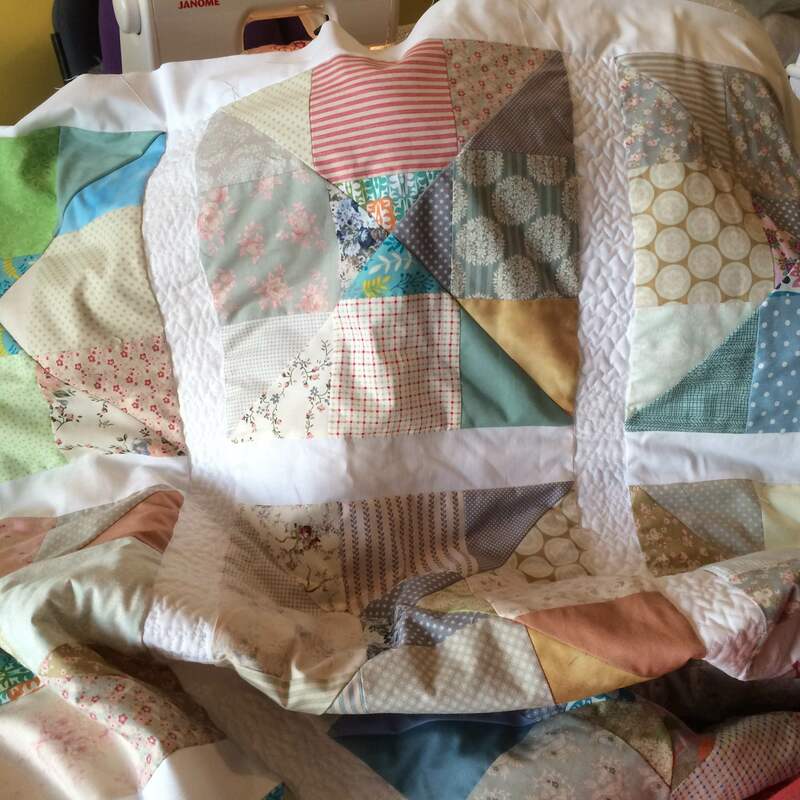 She made a beautiful lap quilt using the rail fence design…..And then produced this gorgeous around the world quilt at home. 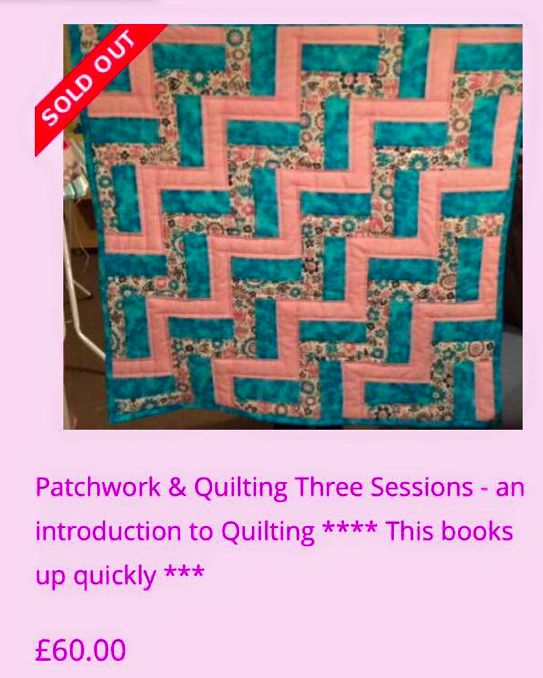 Overwhelmed by how quick its sold out! 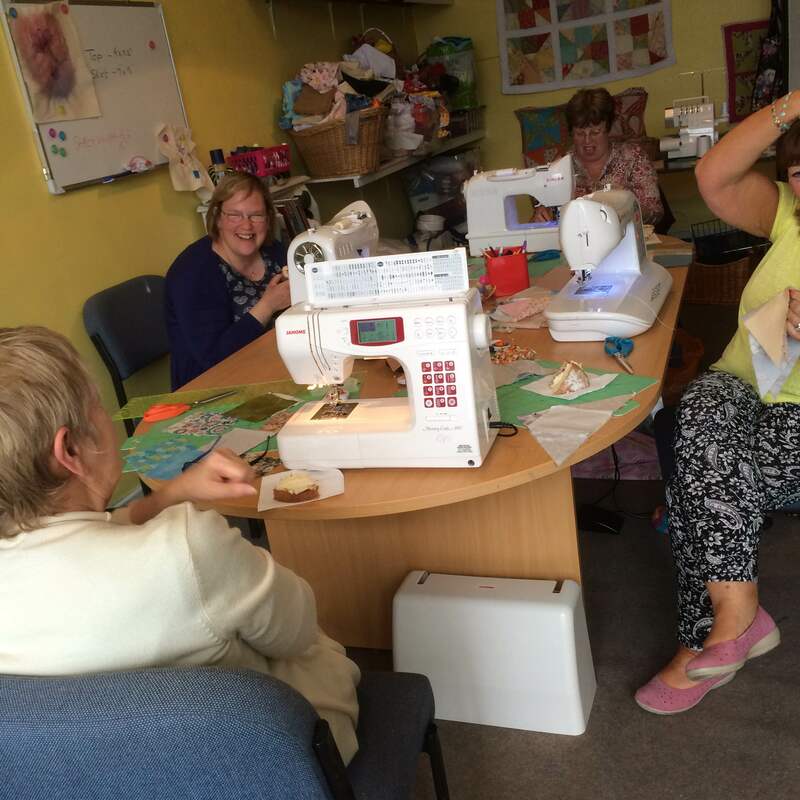 The May 3 part course kicked off on Tuesday. 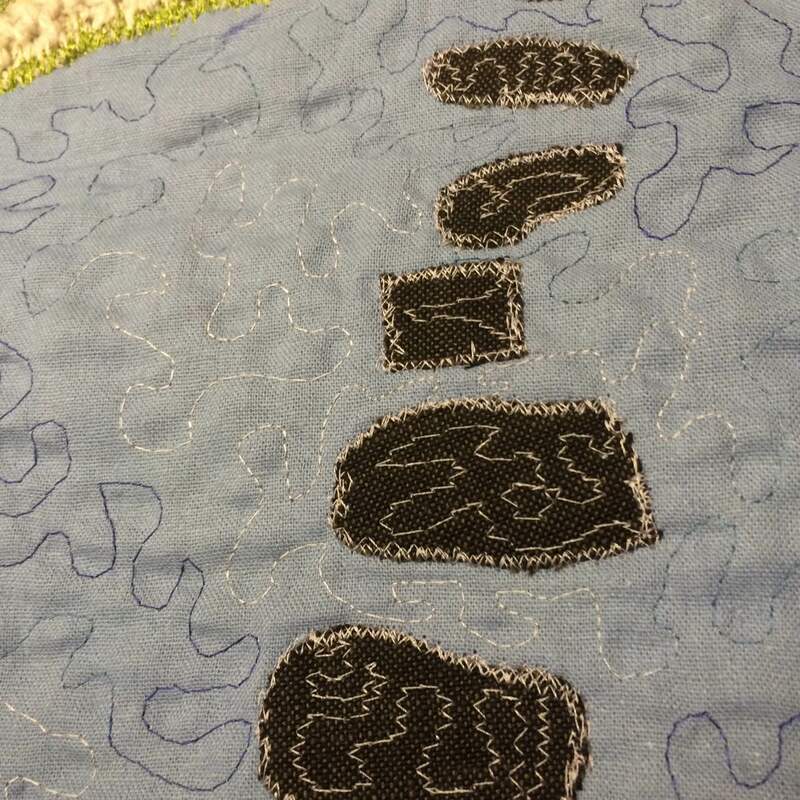 My four ladies are on their way to making a lap quilt using the disappearing nine patch design. 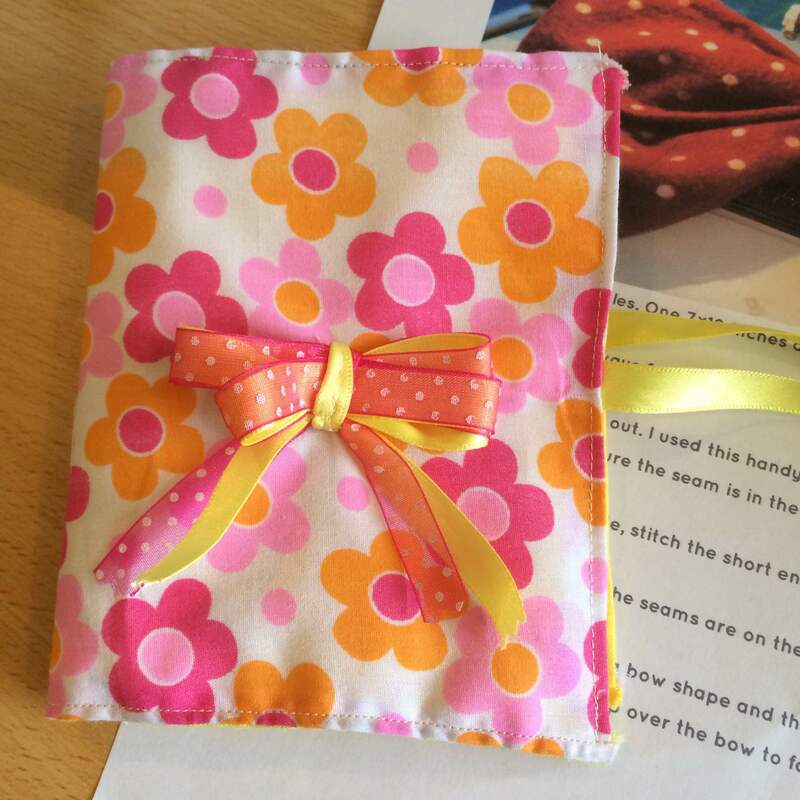 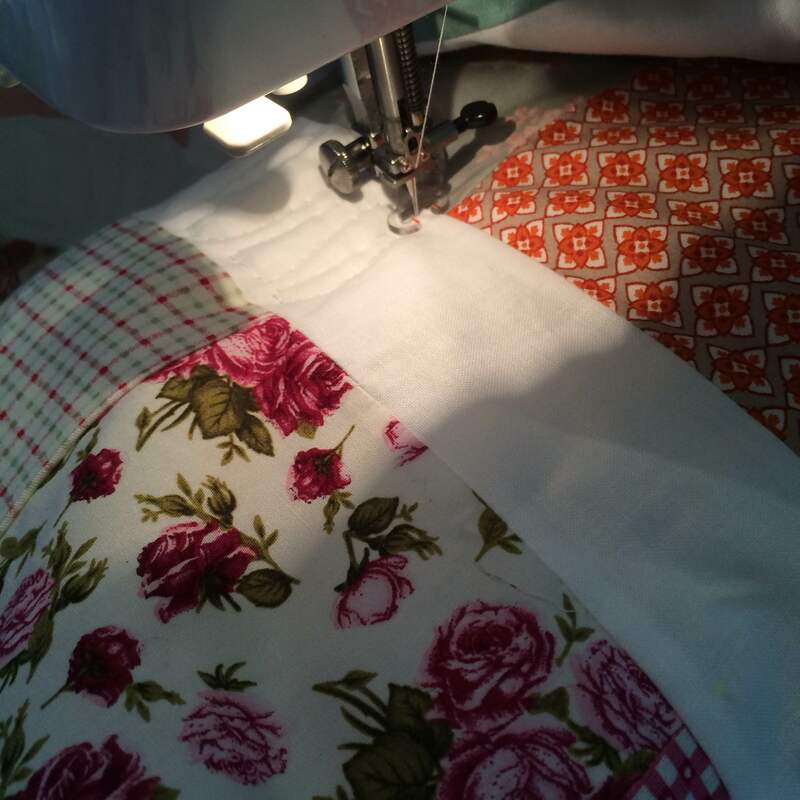 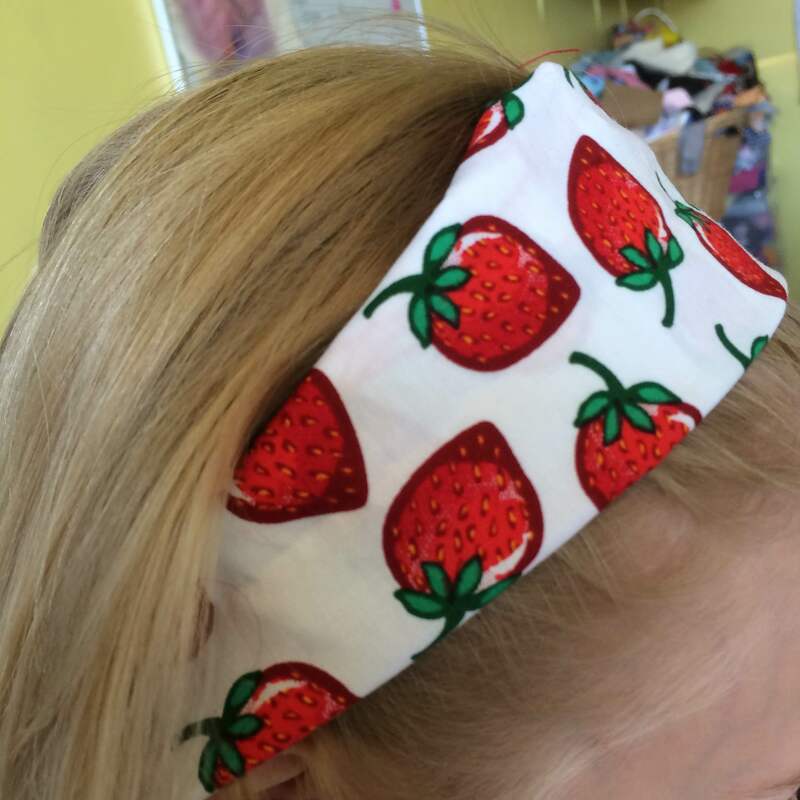 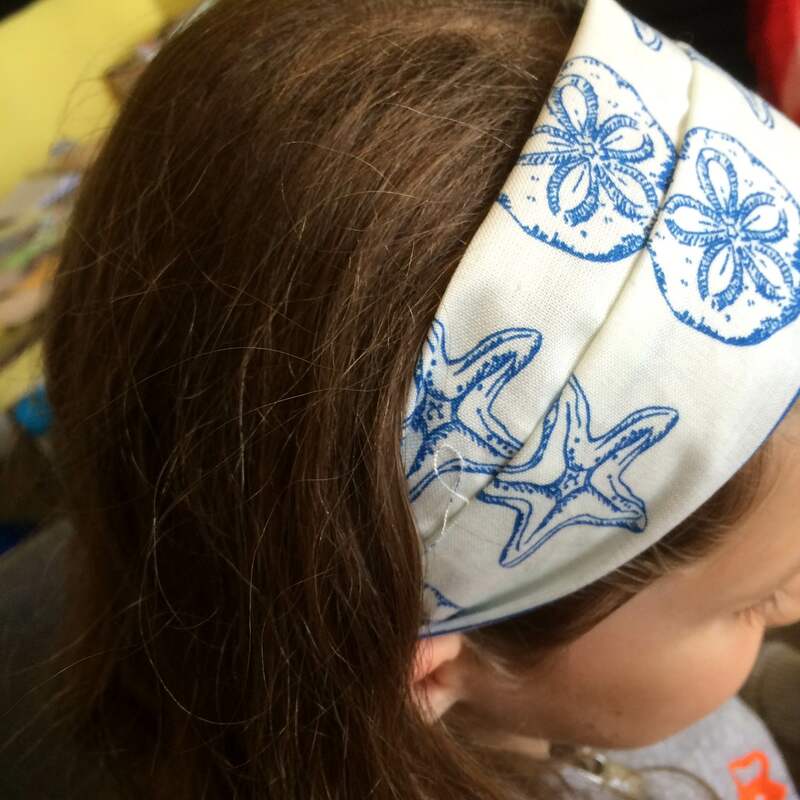 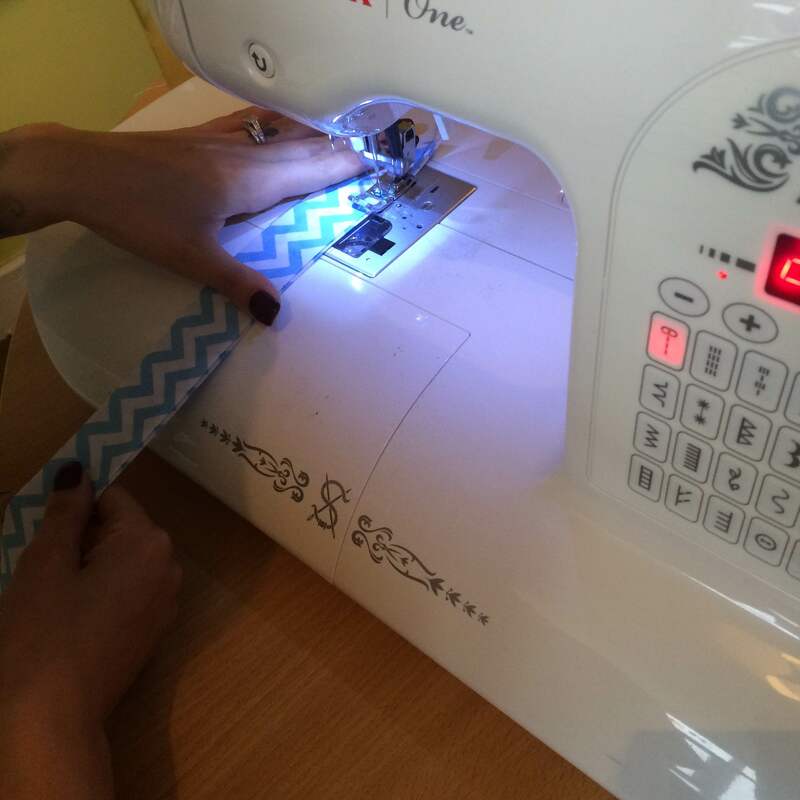 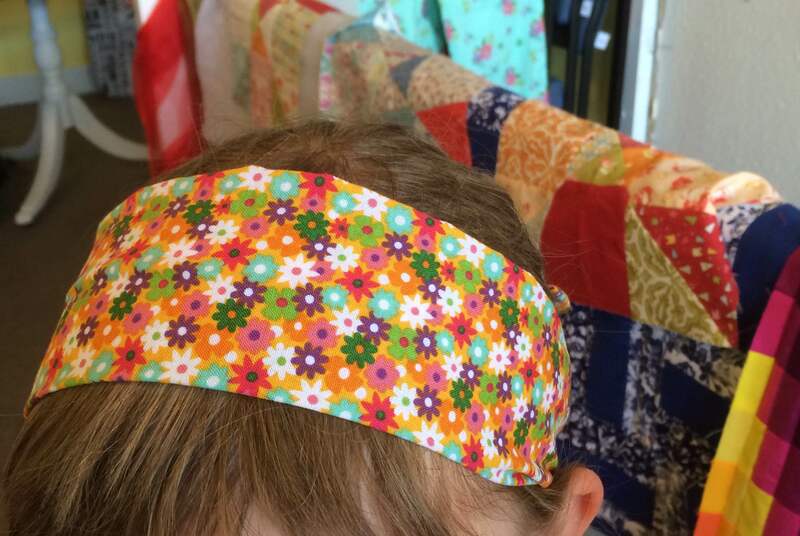 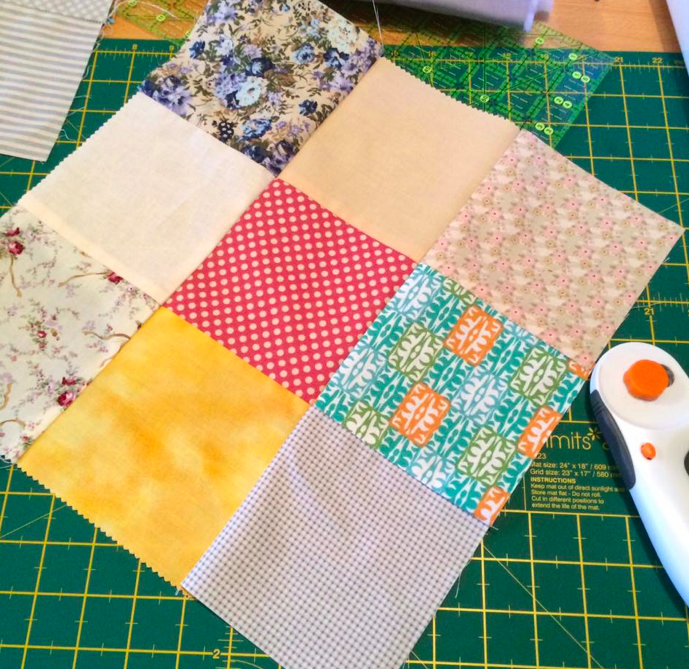 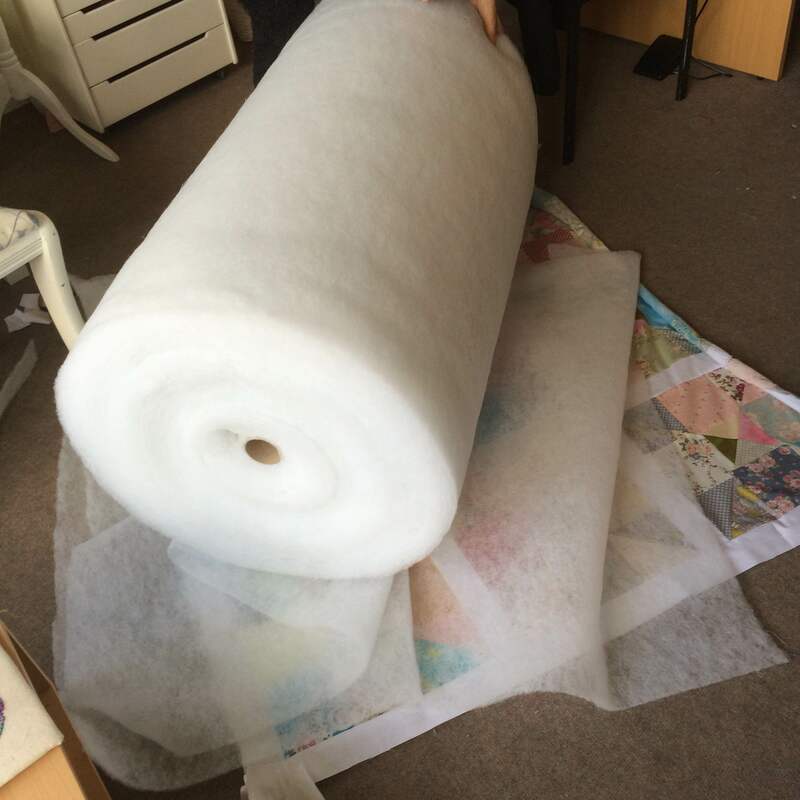 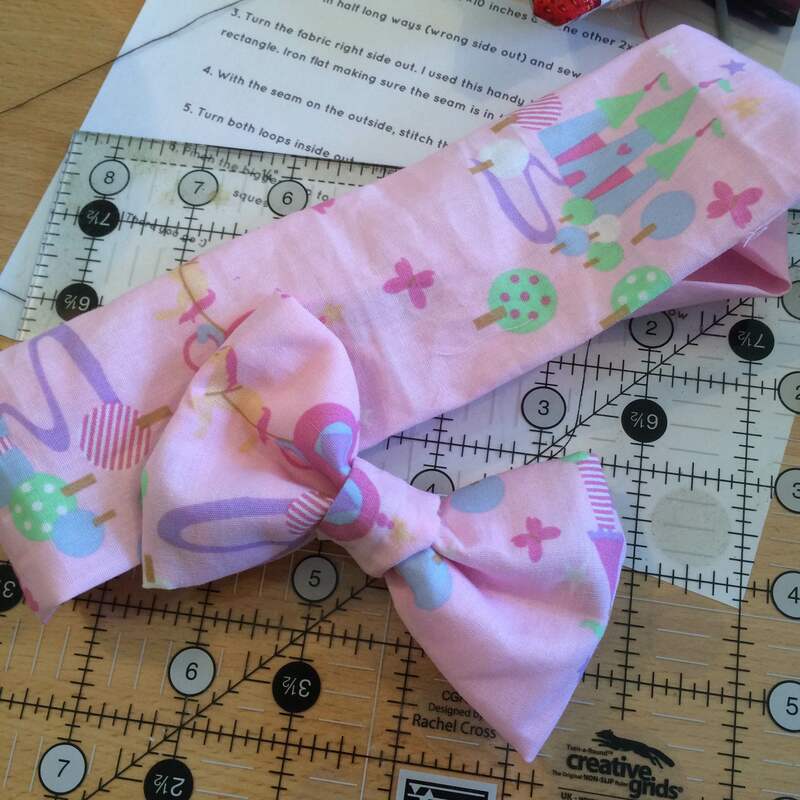 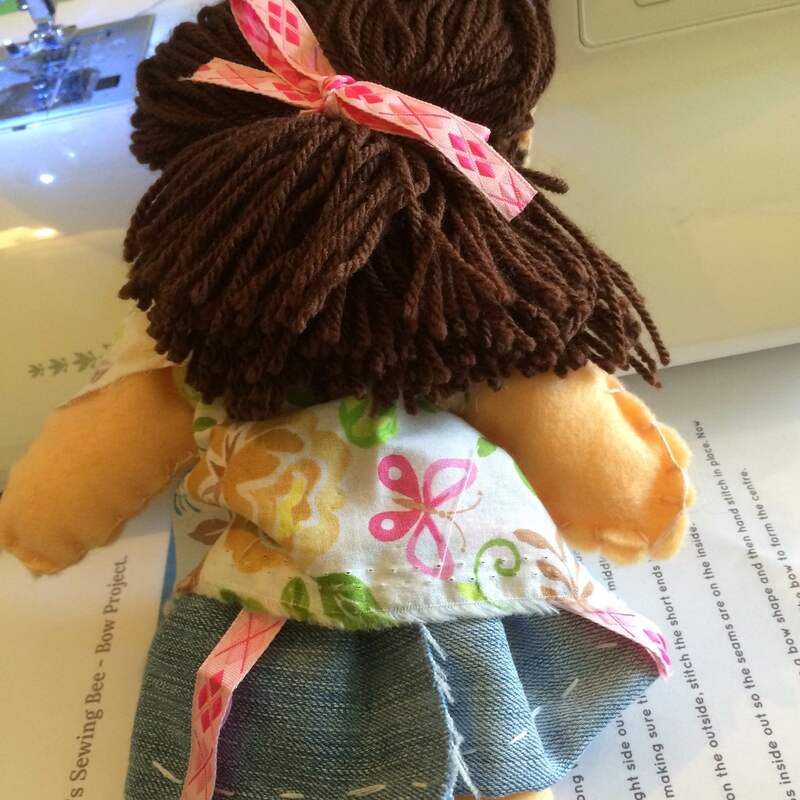 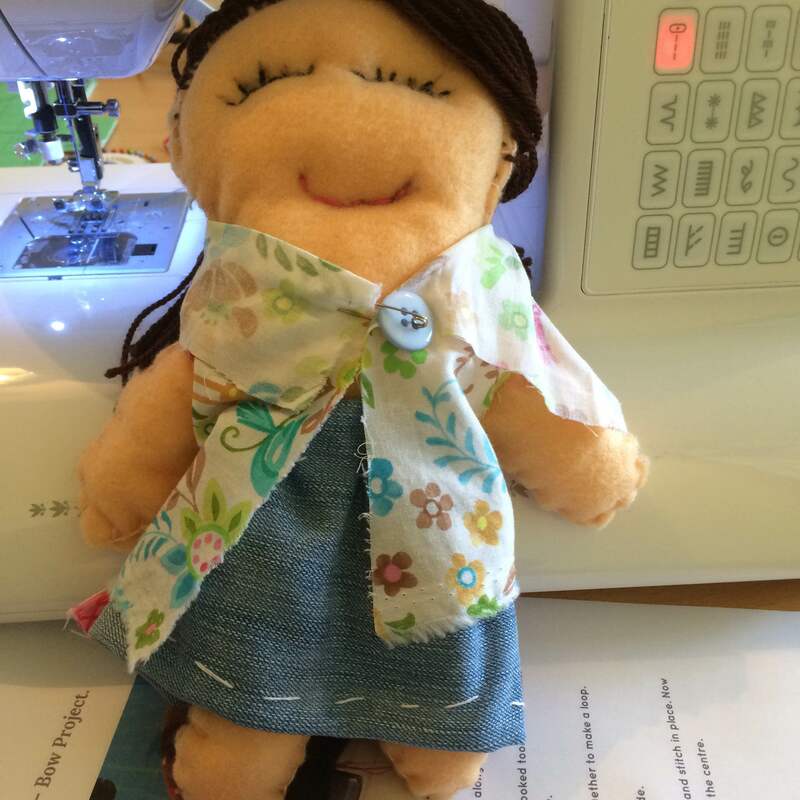 Part One – Learning about equipment, choosing fabrics, seam allowances, piecing blocks. 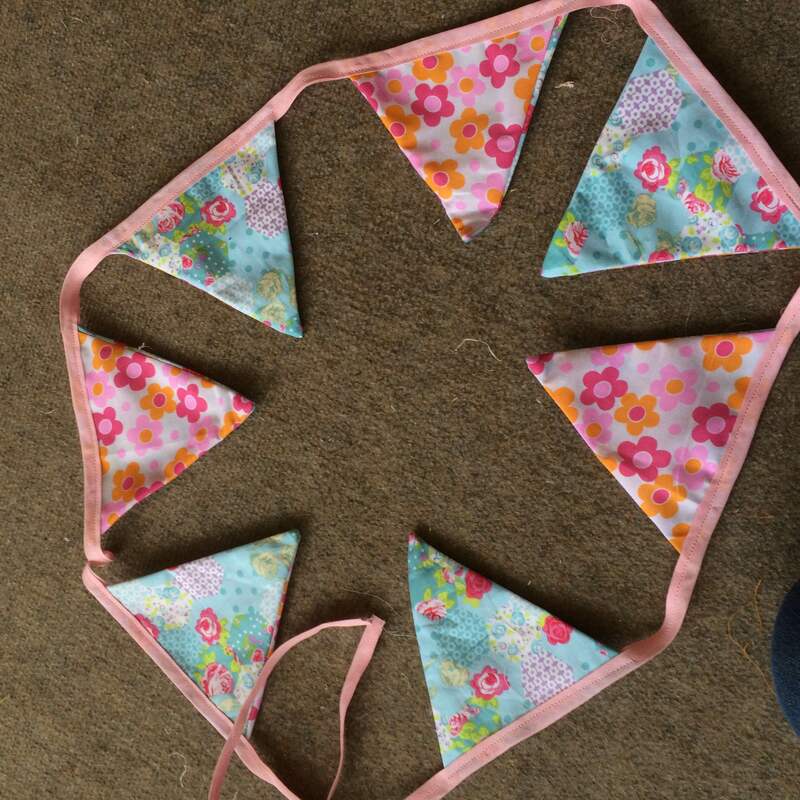 And my little stitchers have been at it again…. 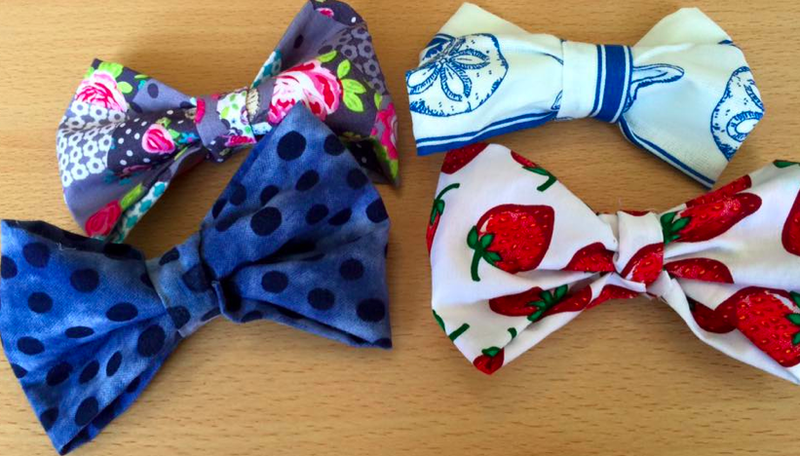 Now who’s ready for the return of The Sewing Bee and Patrick Grant? 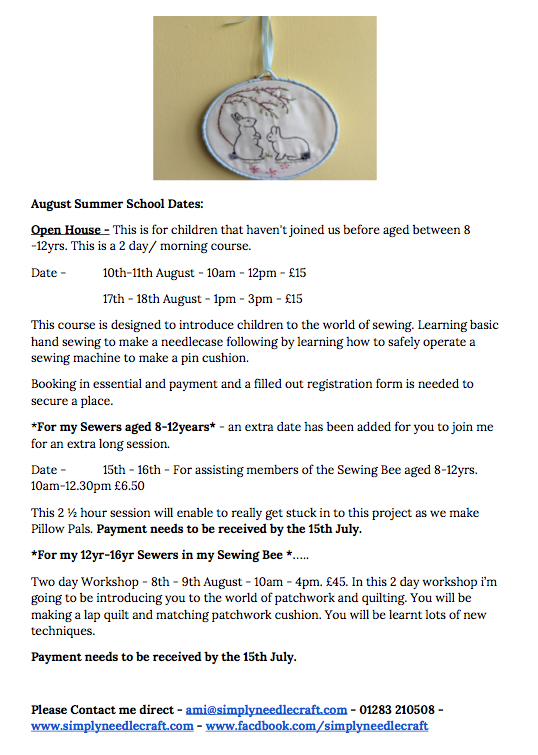 Every year Singer hook up with the Sewing Bee ( which starts on Monday ) to run a fab competition. 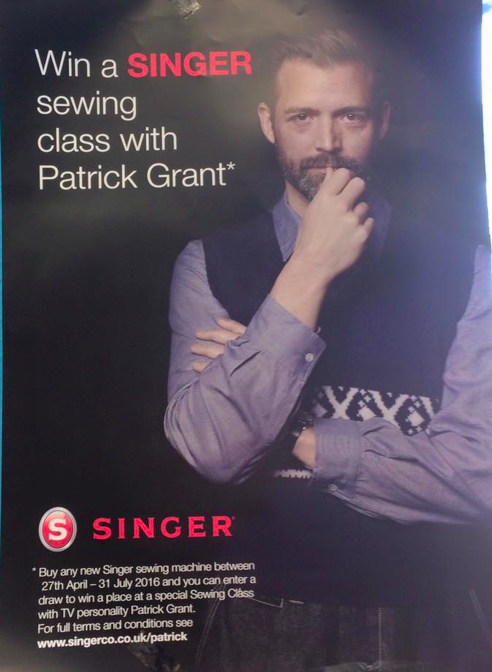 Prize……win a sewing lesson with Patrick Grant. 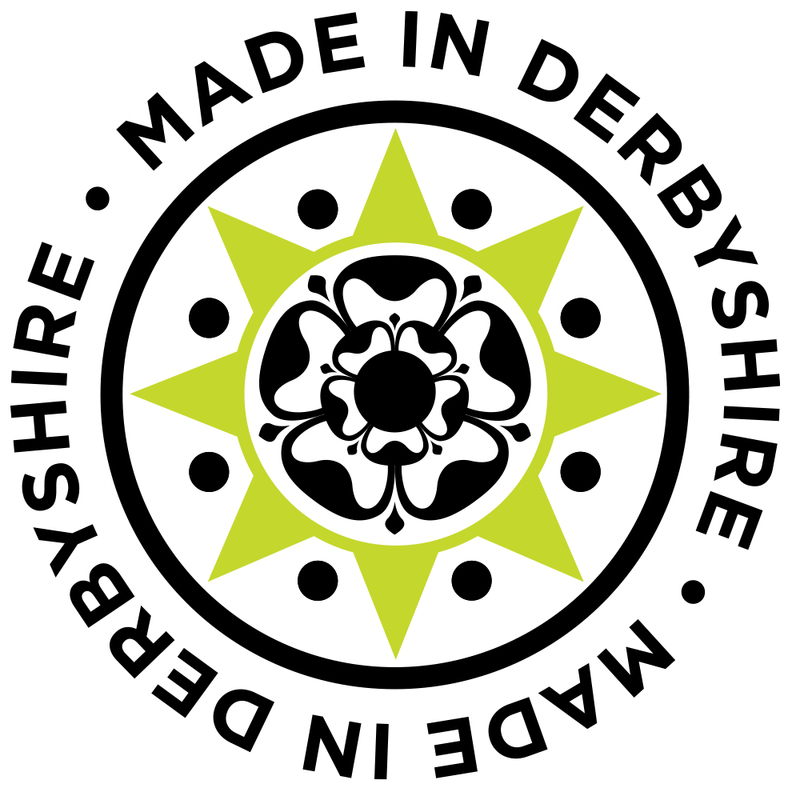 Anyone purchasing a new Singer from an authorised dealer will be able to enter. 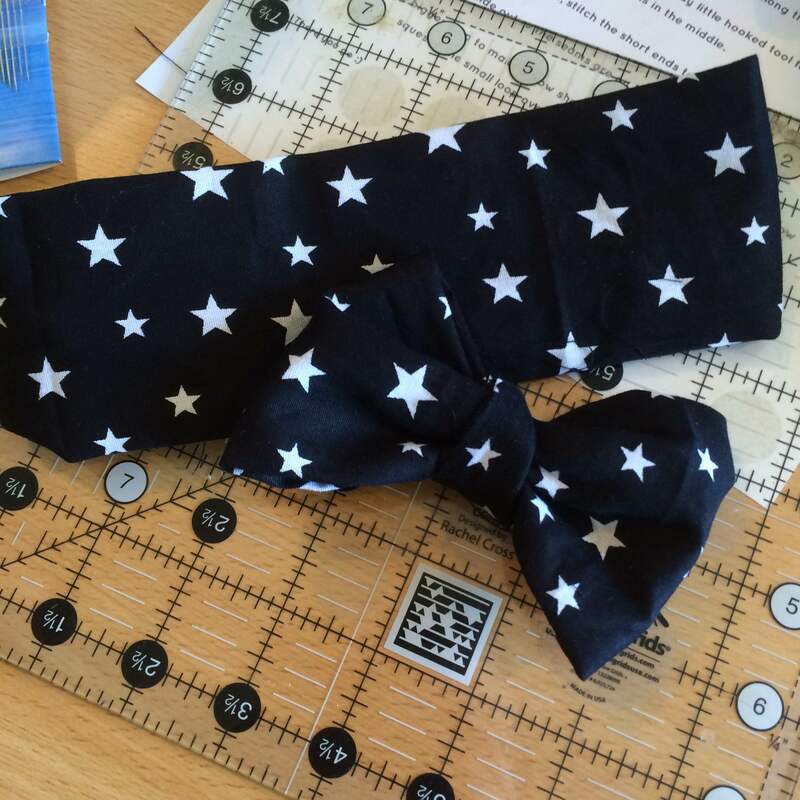 The competition runs until 31st July . 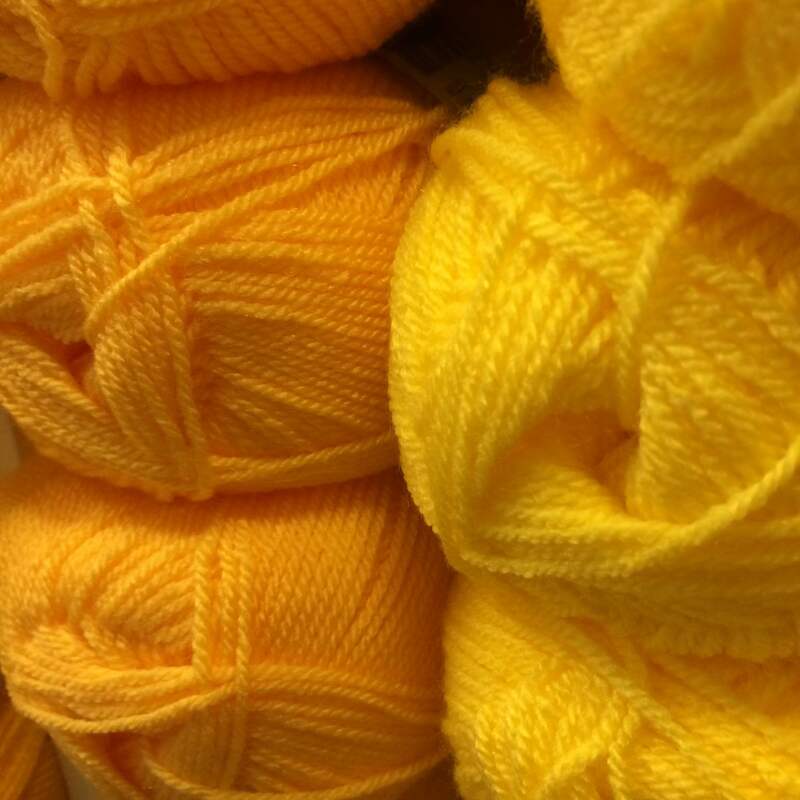 One last thing before signing off. 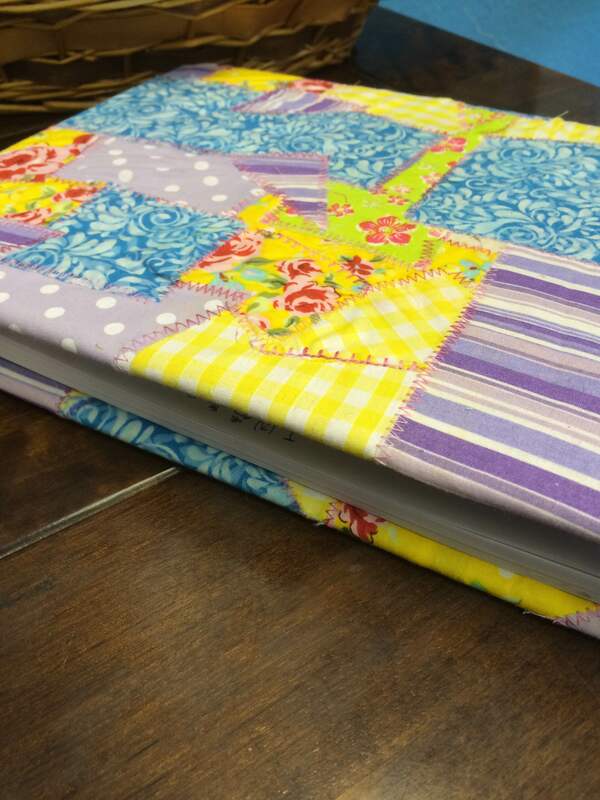 We have a new section on our website….The Guest Book. 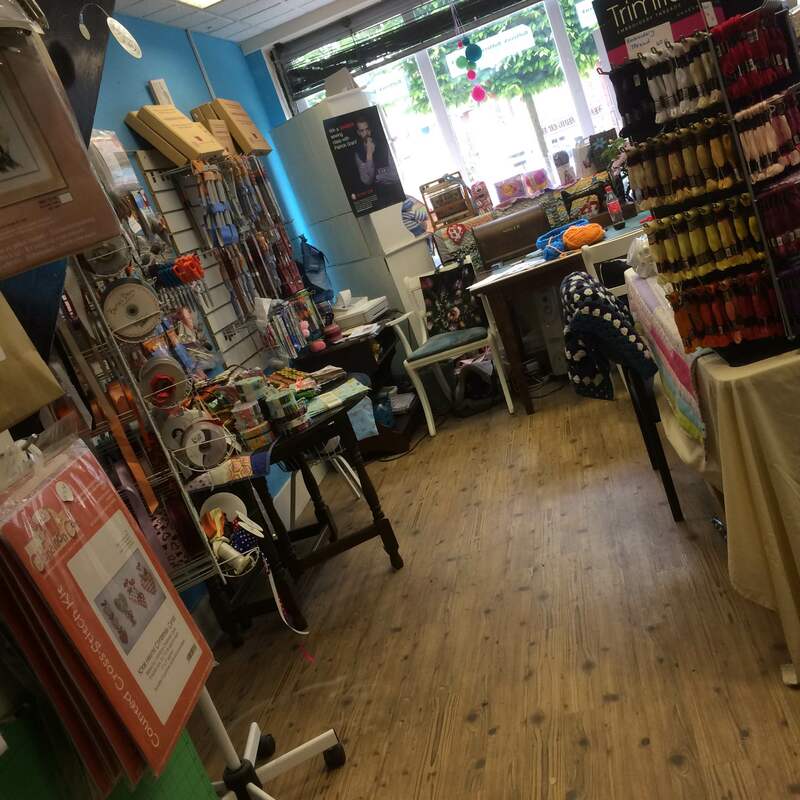 If you have visited us in the Haberdashery or Sewing Studio and would like to leave us any feedback please visit Our Guest Here. 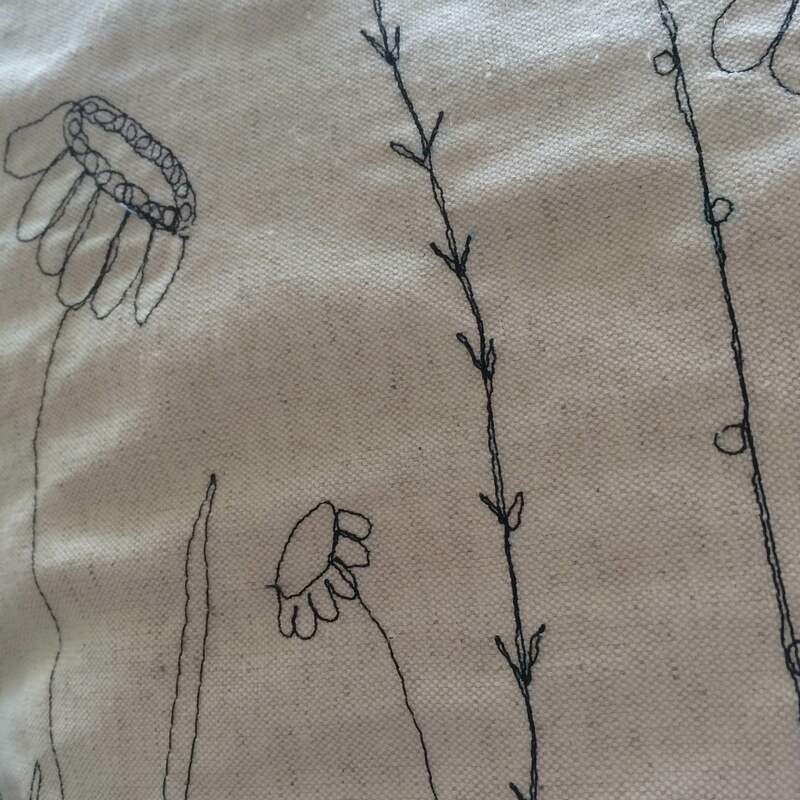 All feedback and comments are appreciated. 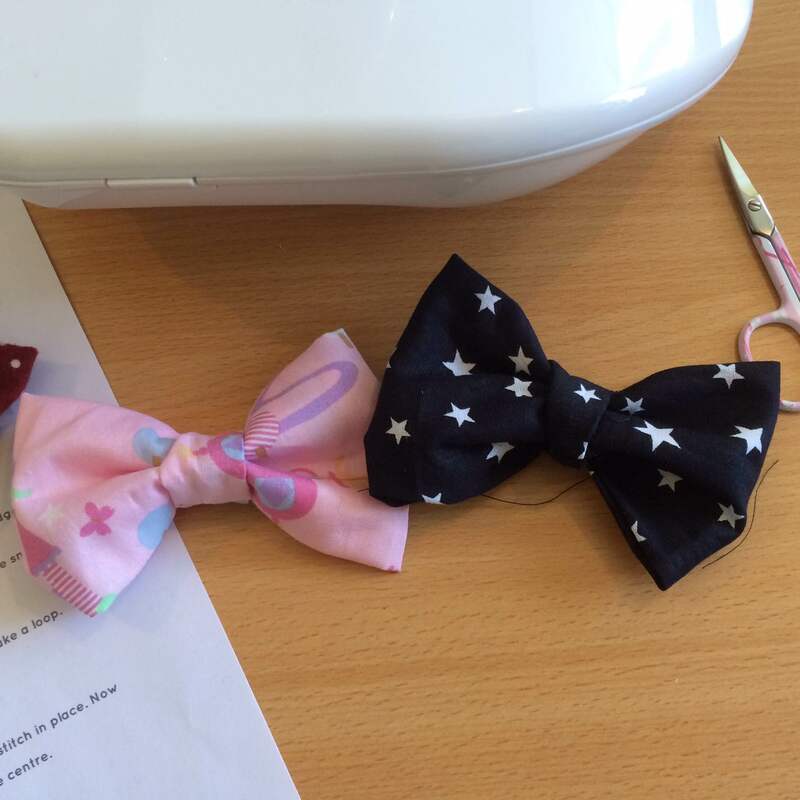 Its been a great week, thank you for all of your support in the haberdashery, sewing studio and online. 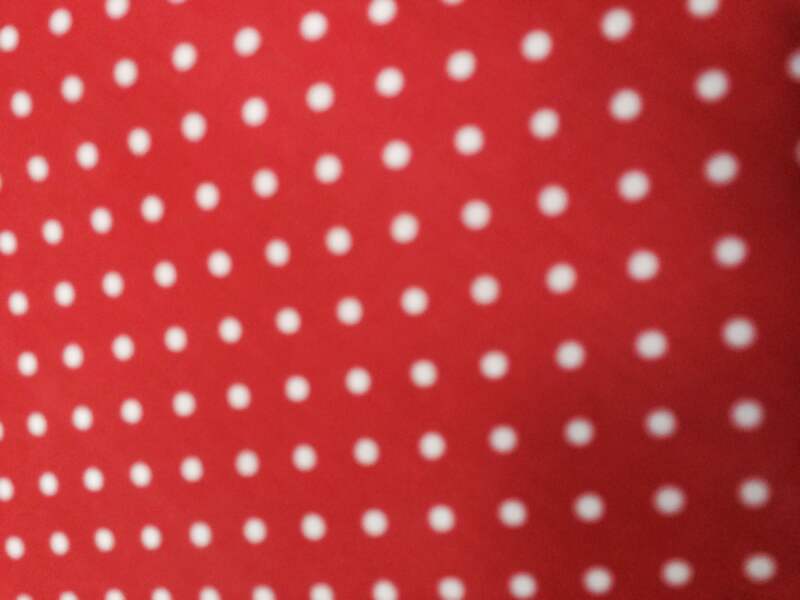 I’ll see you all again next week. 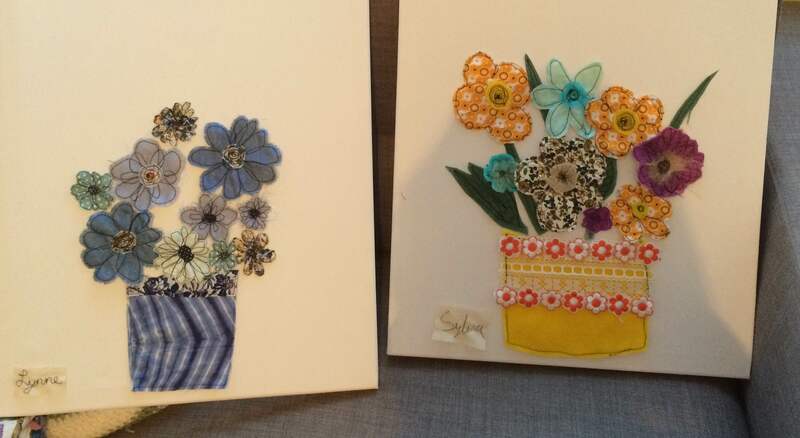 This week I want to start with my little stitchers first. 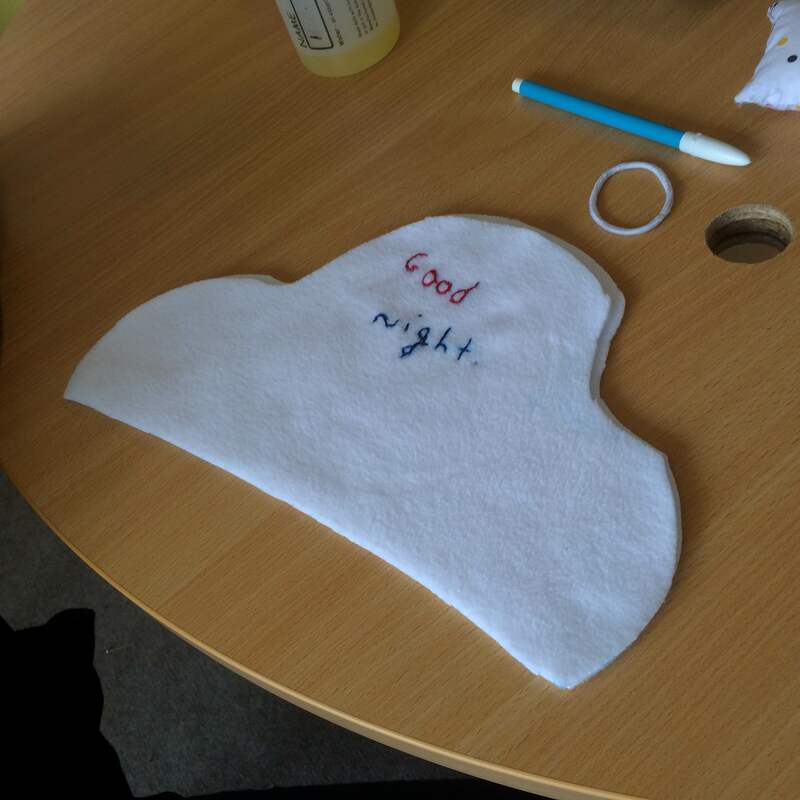 I’ve not had much to show you over the last two weeks as all of the groups are mid project but I can assure you I’ve got lots of great pics coming your way……however we did have some more socks teddies finished off. 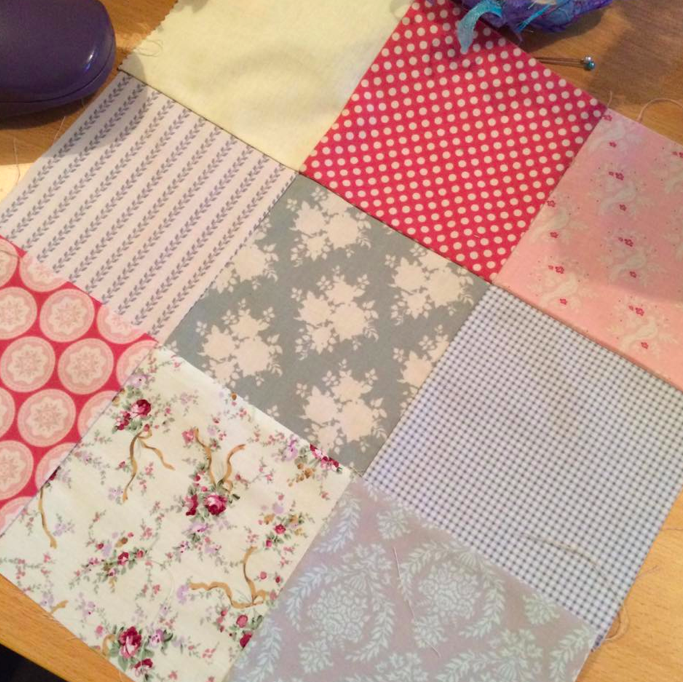 At the beginning of a new month I plan the next months projects ( it never goes to plan but its a good starting point). 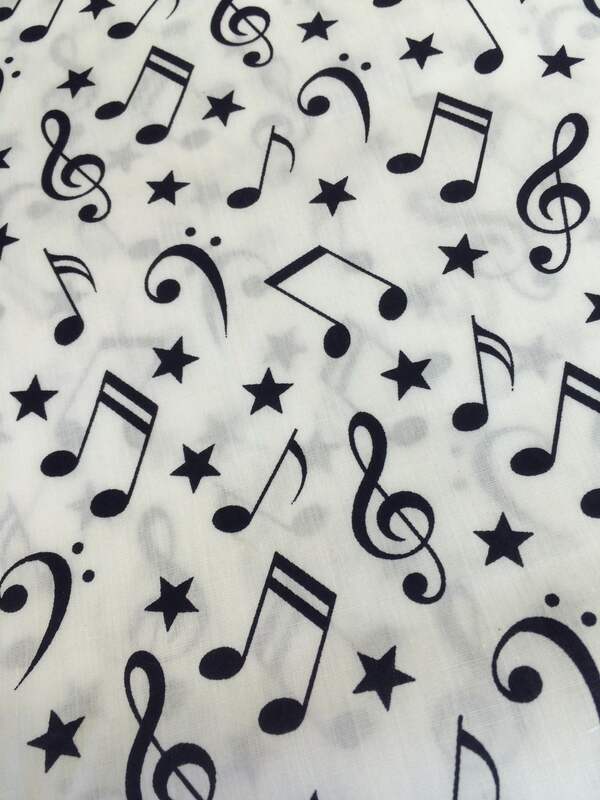 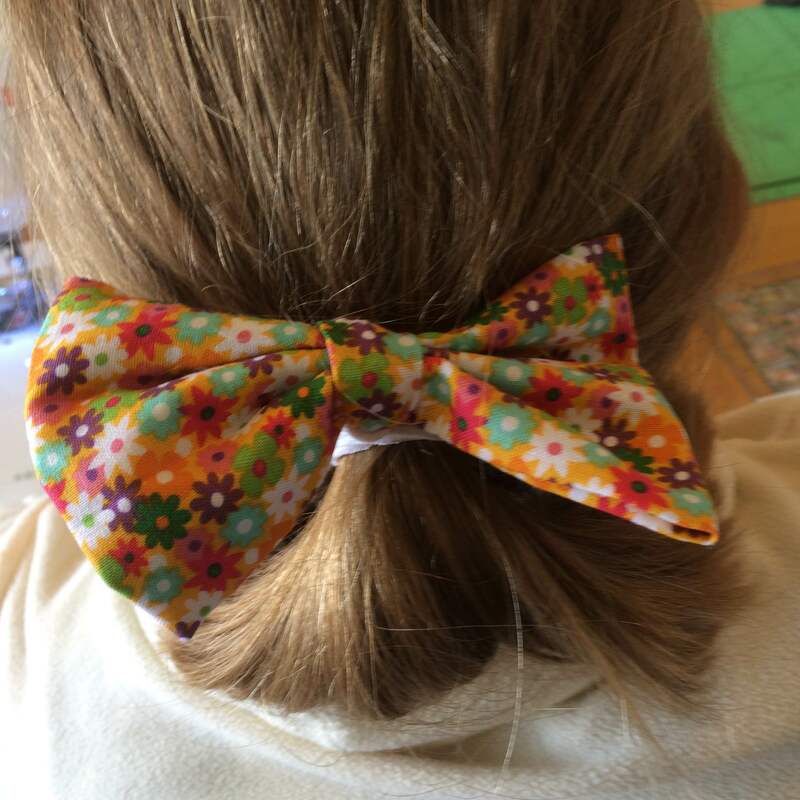 So my 8 -12yr groups are concentrating on tote bags, bows, hand bands and rainbow clouds. 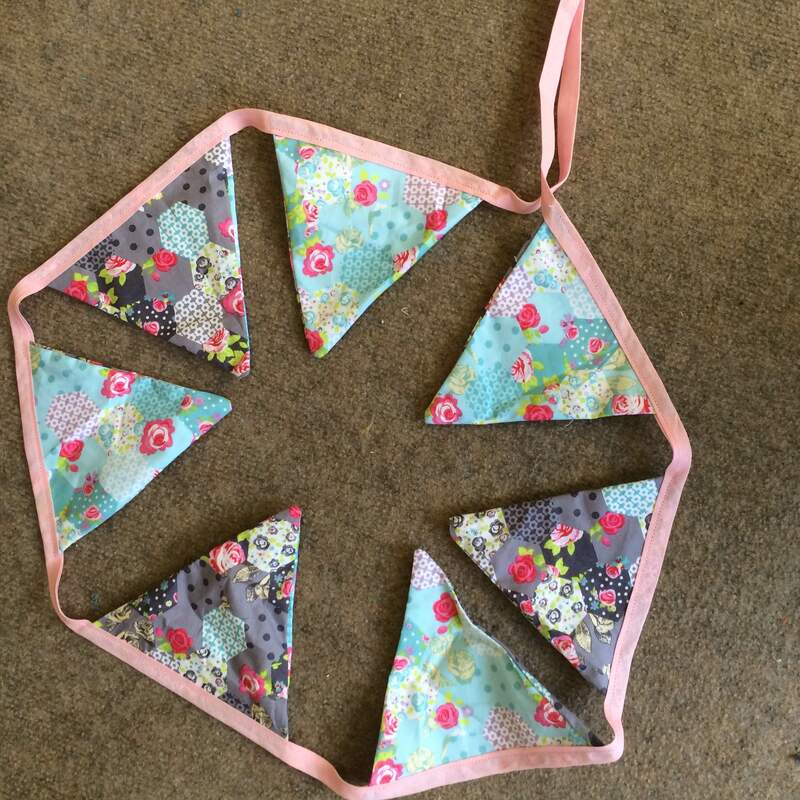 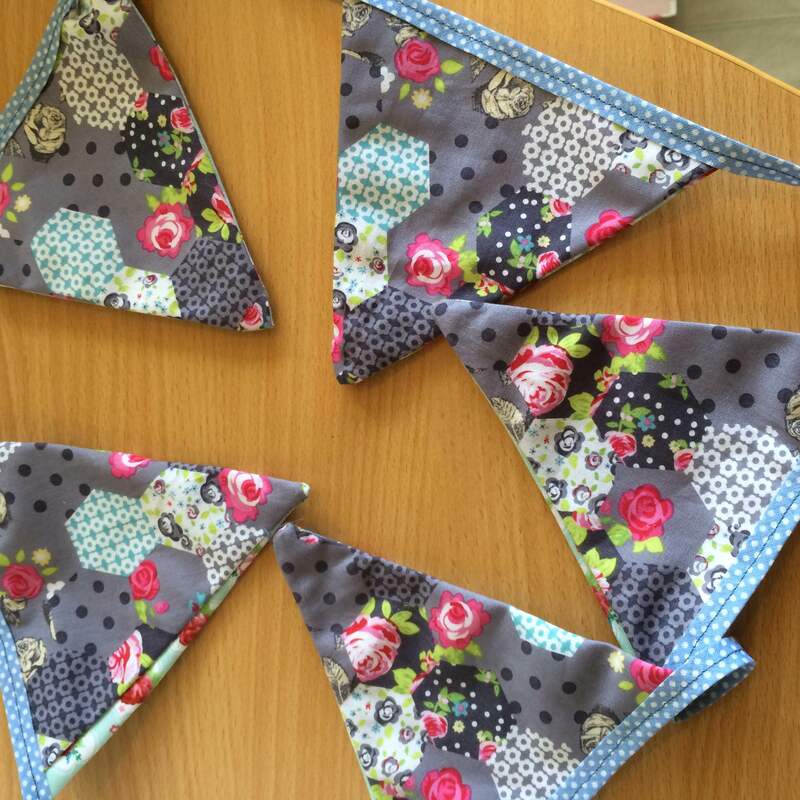 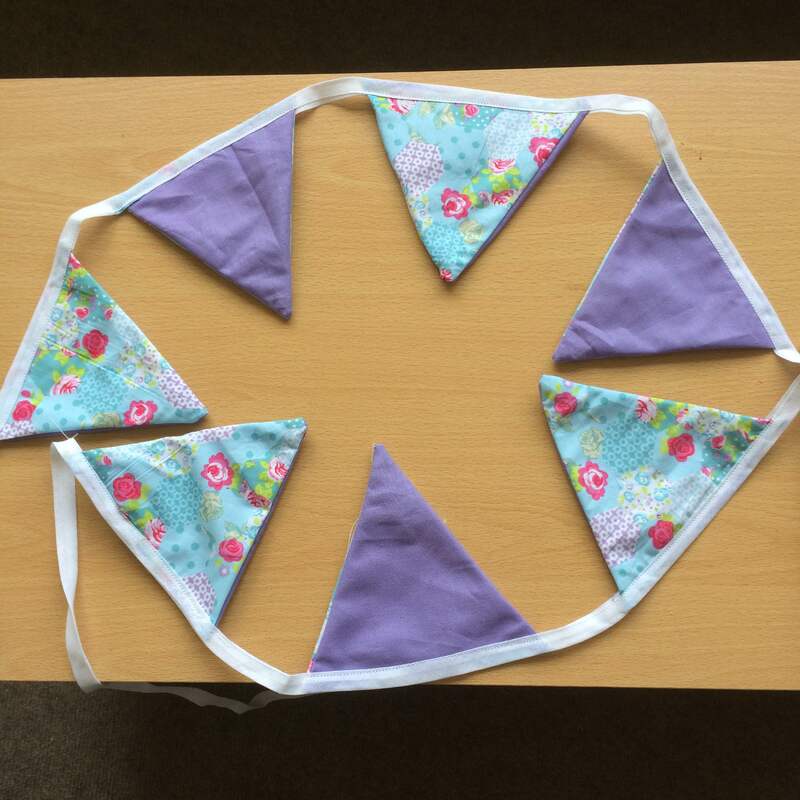 My 12- 16yr group are going to be learning beautiful bunting, stitch collage covers and a project of their choice. 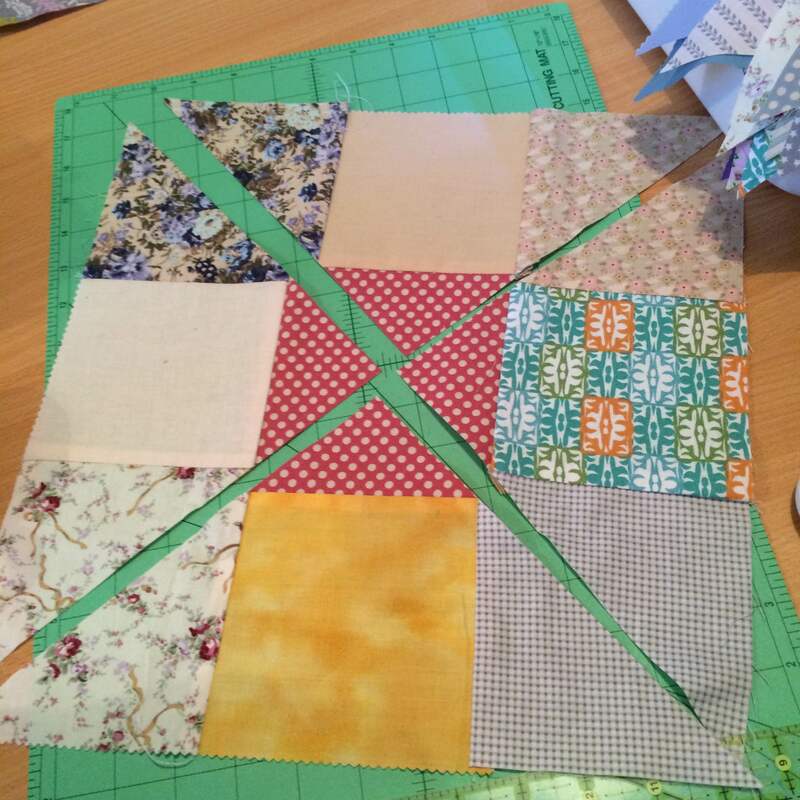 Sample of stitch collage cover. 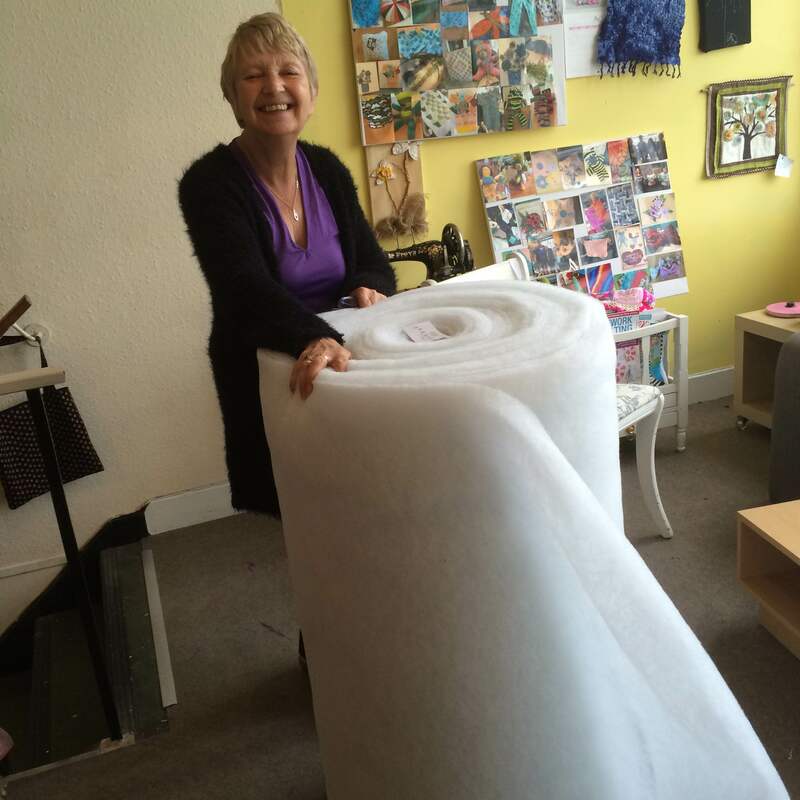 Yes we’ve had more fabrics delivered. 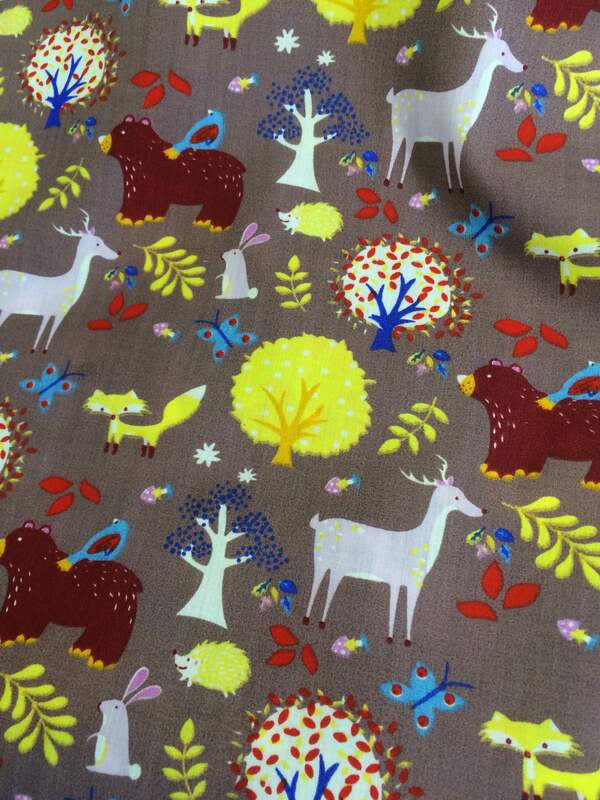 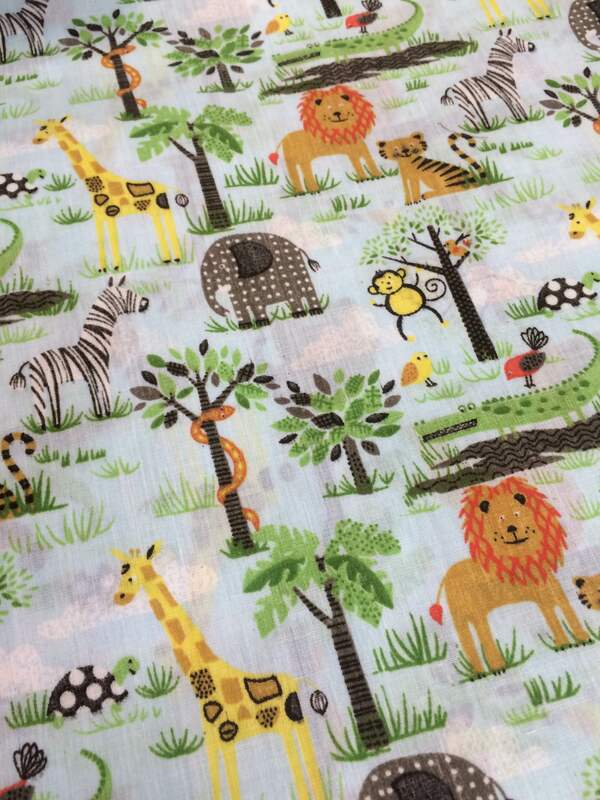 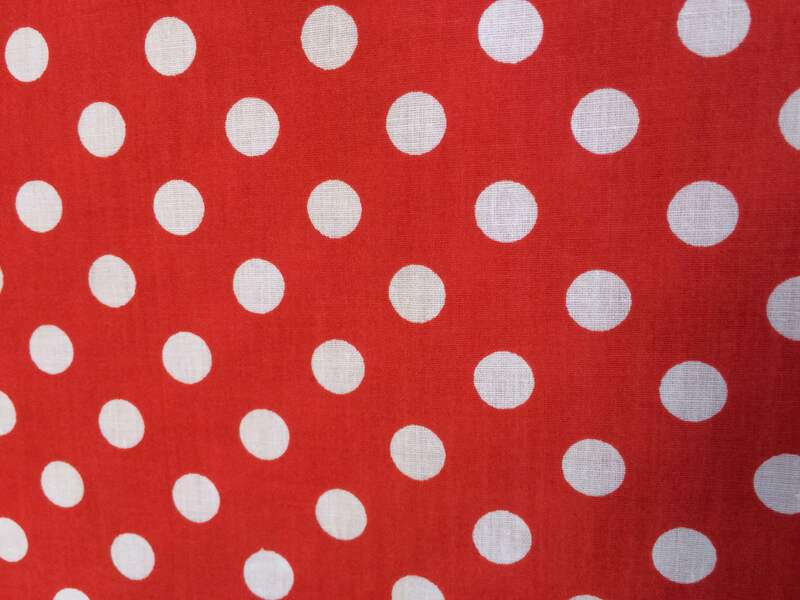 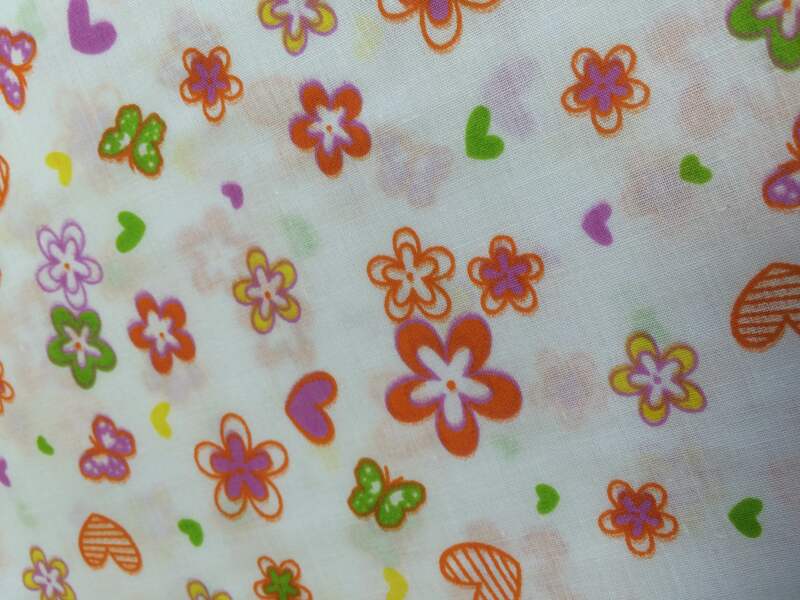 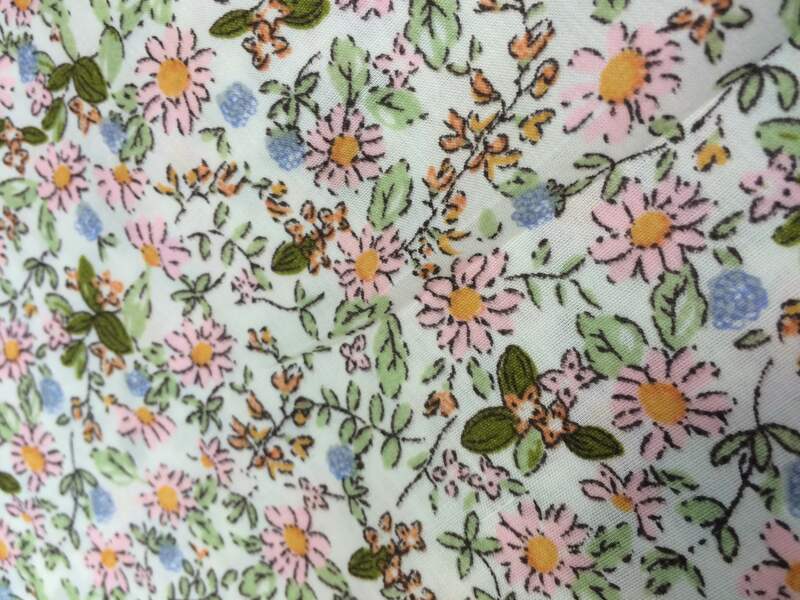 This time poly cottons which are priced around £3.10 per metre. 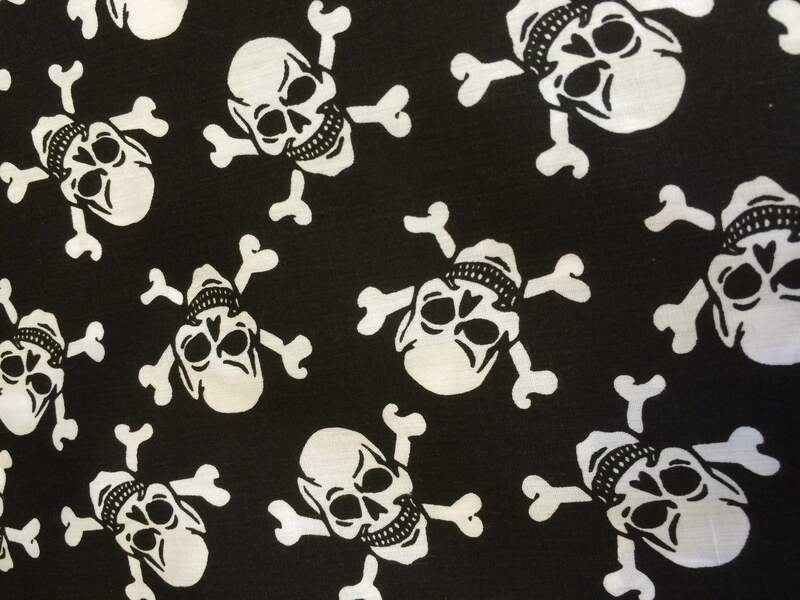 I try to stock a good range of fabrics that range from £1 per metre up to £14.99 per metre…..but any way here’s the new arrivals. 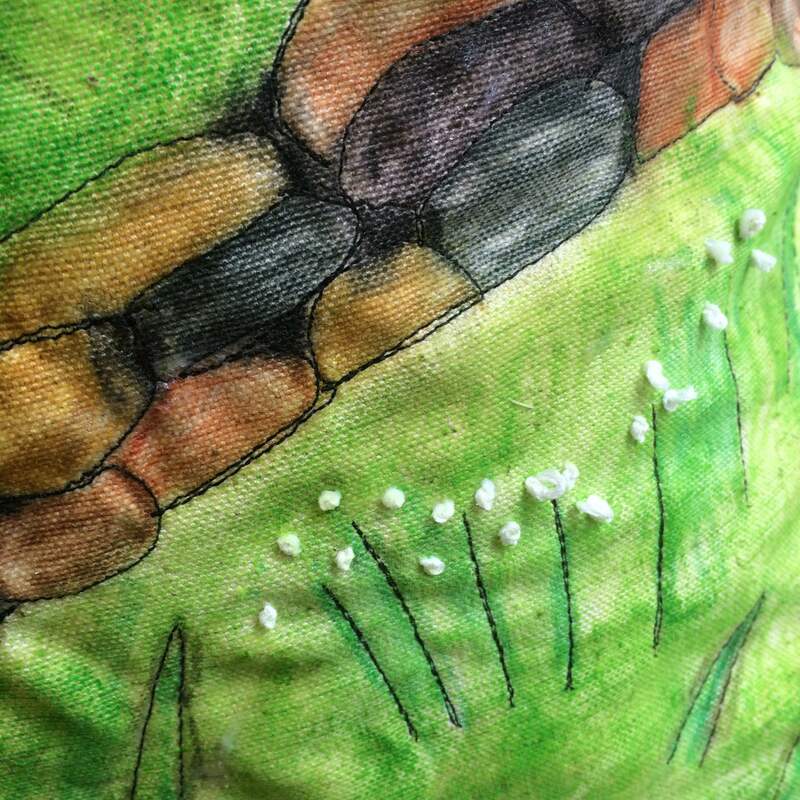 Next up are the pics of Thursdays Textile Art workshop – Textile Canvas. 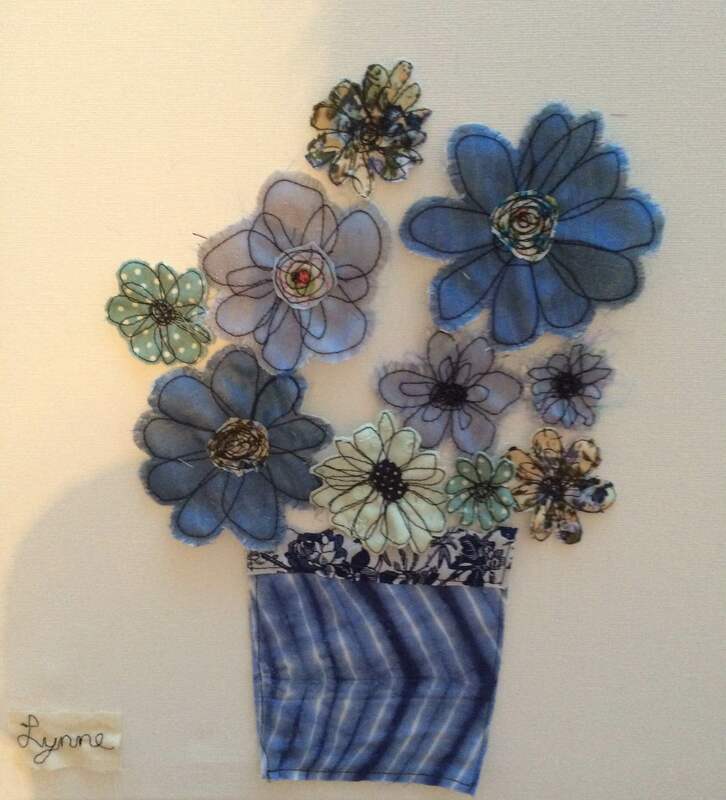 In this workshops the ladies had to design and create a vase of flowers. 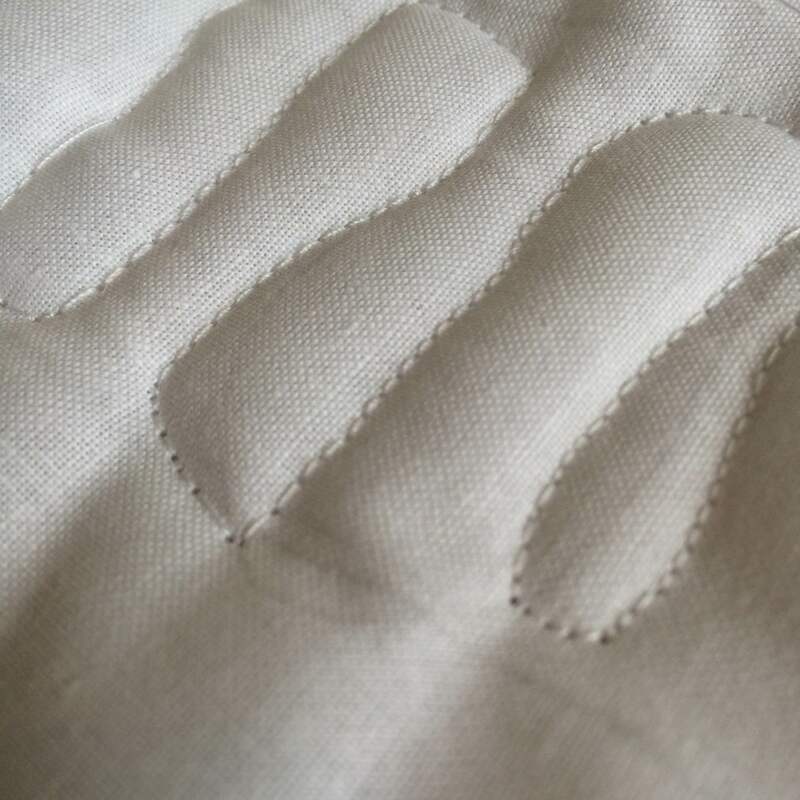 Using free motion machining and different textiles and textures. 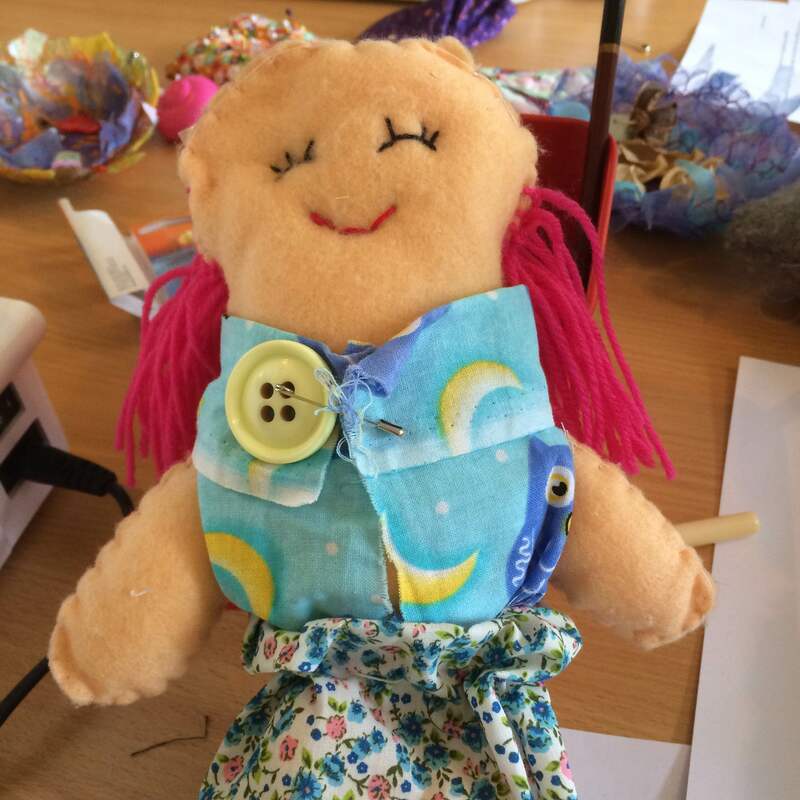 I had so much fun on the workshop, the creativity and enthusiasm was so inspiring. 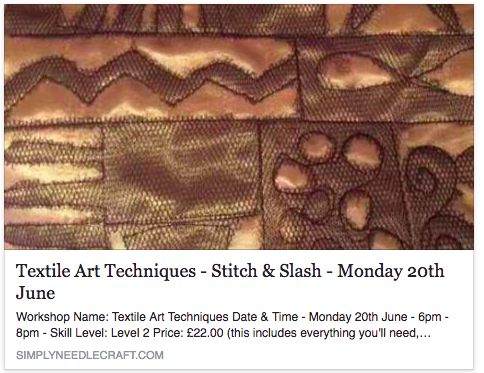 To book on to any of my workshops please Click Here….I’d love to see you there. 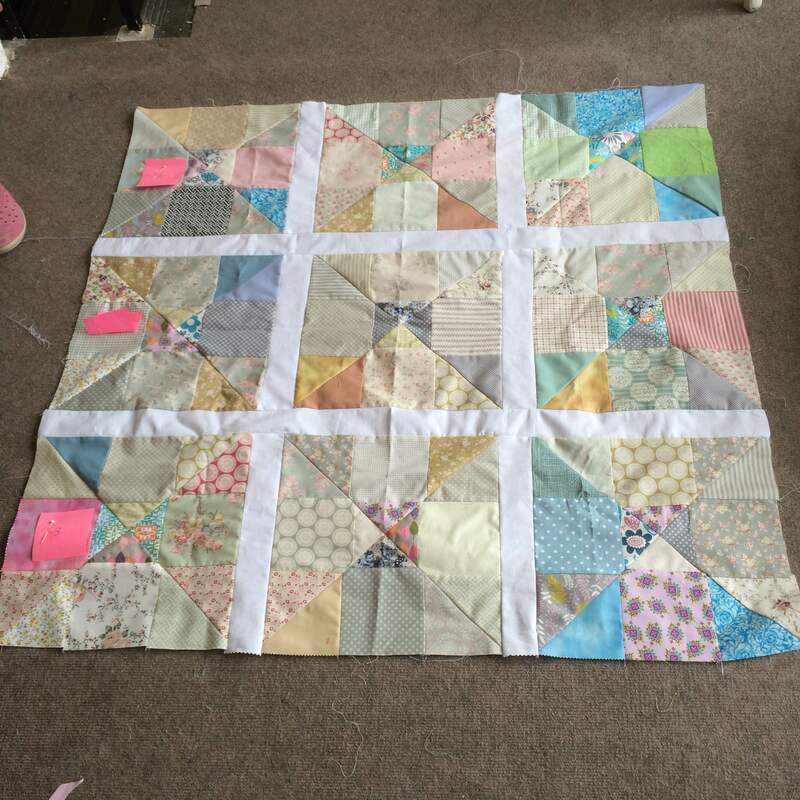 Thats it for another week. 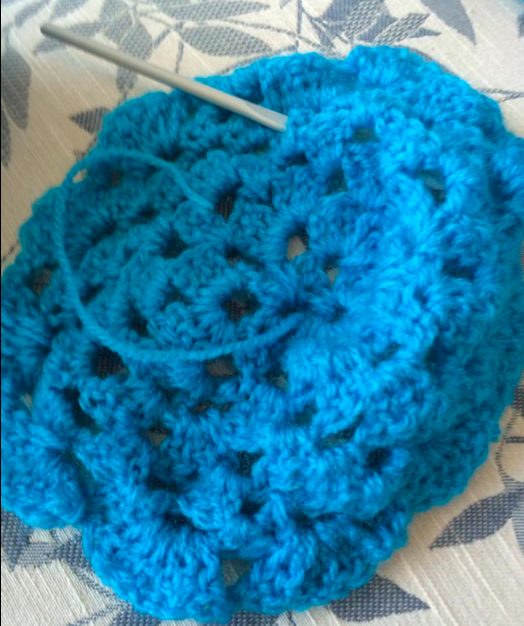 Its been so much fun as always. 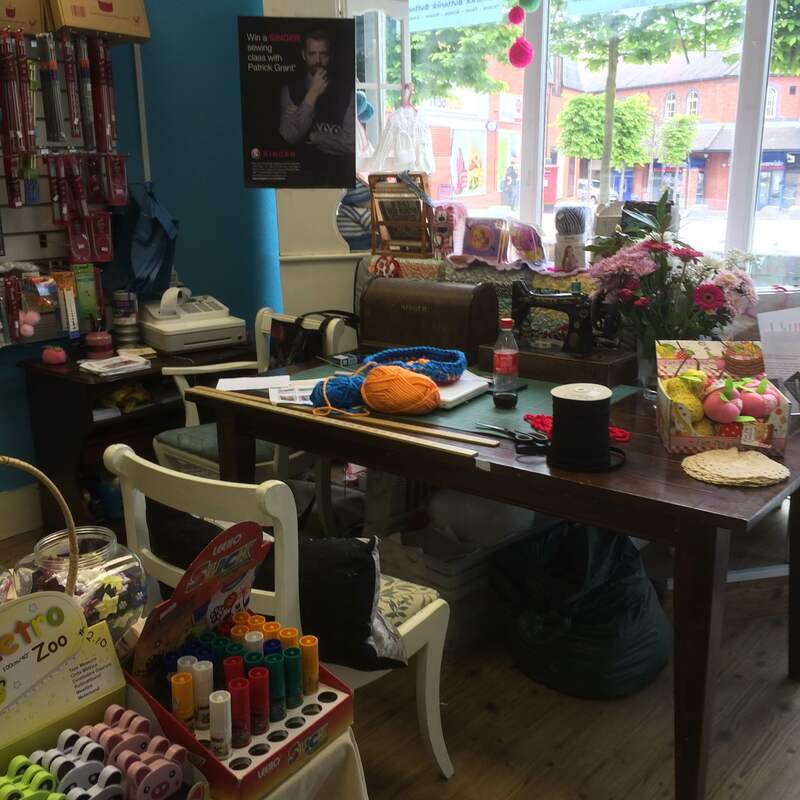 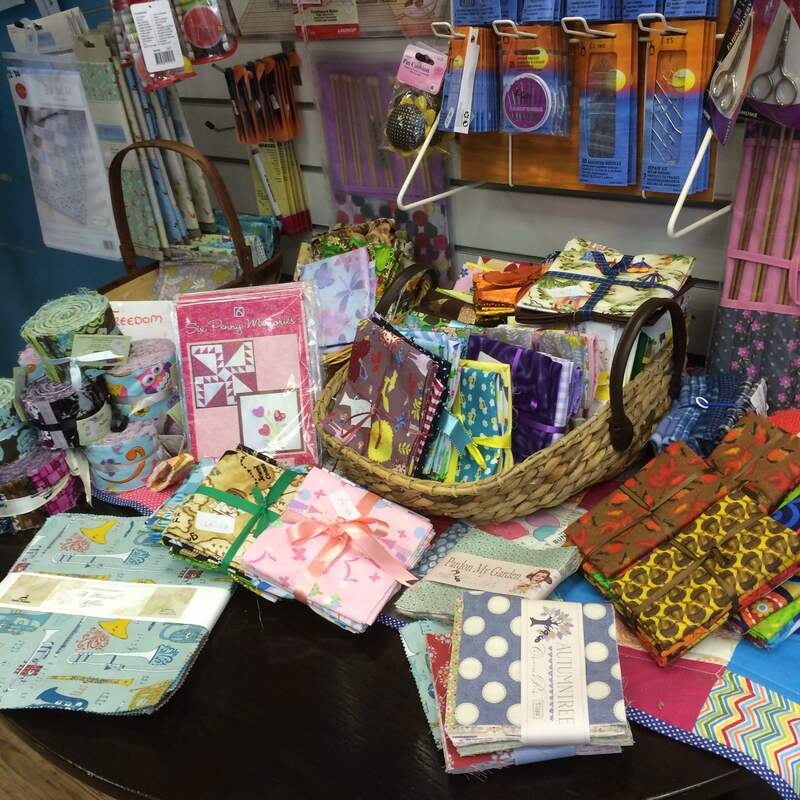 The haberdashery just keeps getting busier, the workshops are absolutely fantastic and the Sewing Bee…well what can I say. 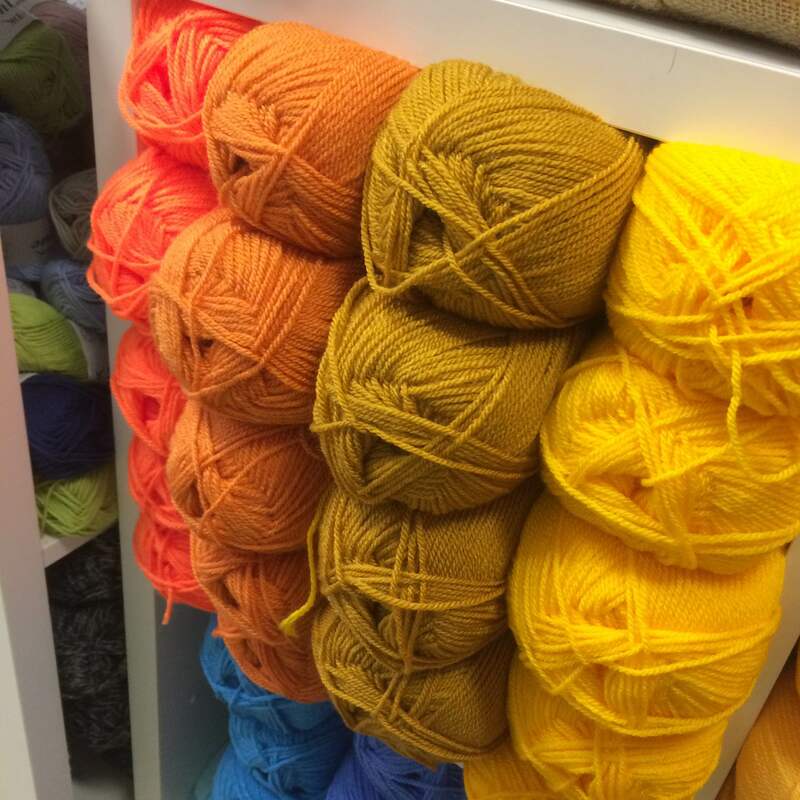 Have a great weekend and I’ll see you next week.